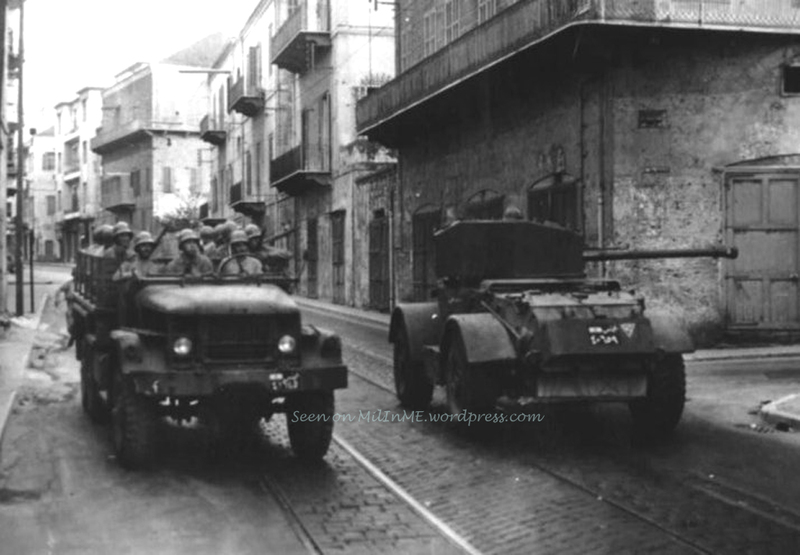 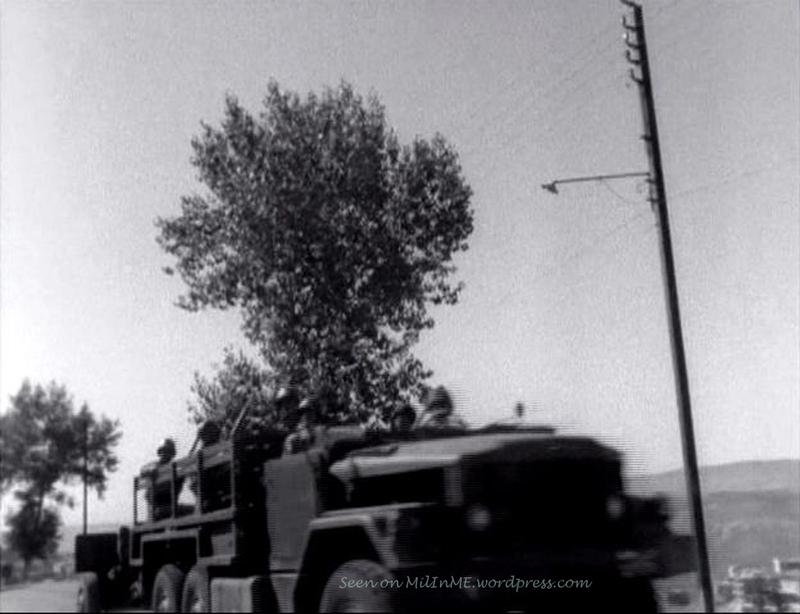 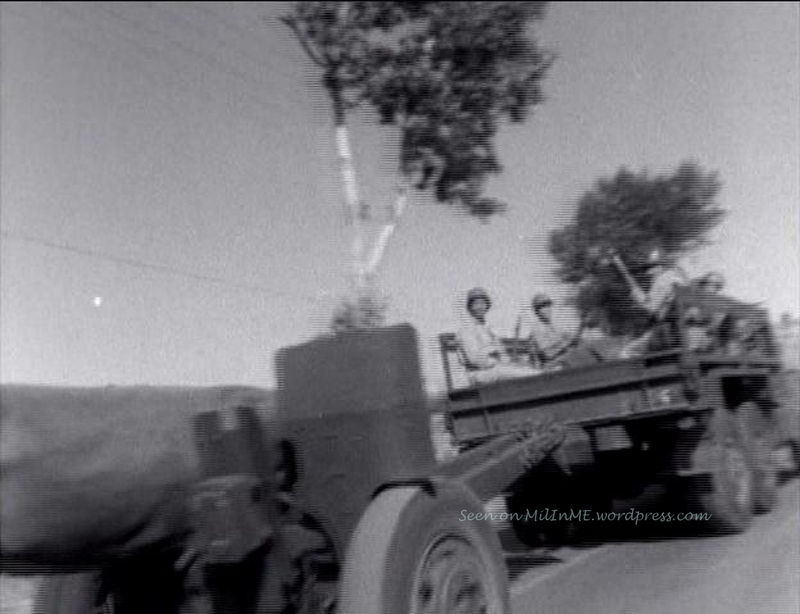 A Lebanese Army M34 truck towing an M101A1 (on M1A2 carriage) howitzer during Lebanon Crisis in 1958. 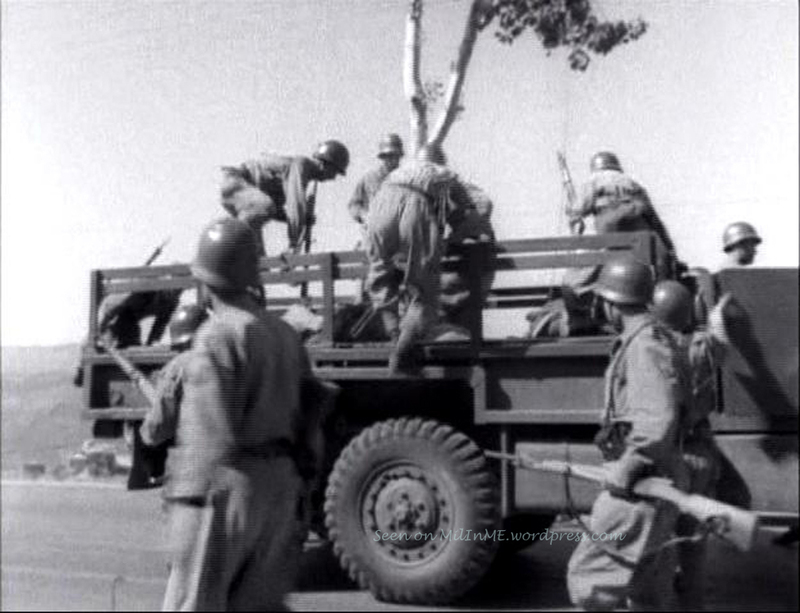 Lebanese Army soldiers jumping onto an M34 during Lebanon Crisis in 1958. 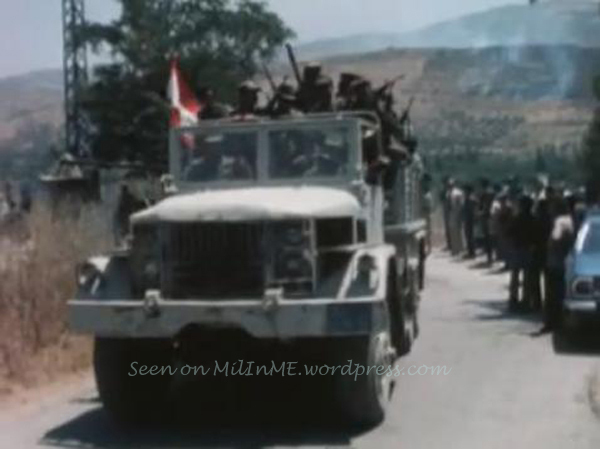 A Lebanese Army M34 in Marjeyoun near the borders in 1978. 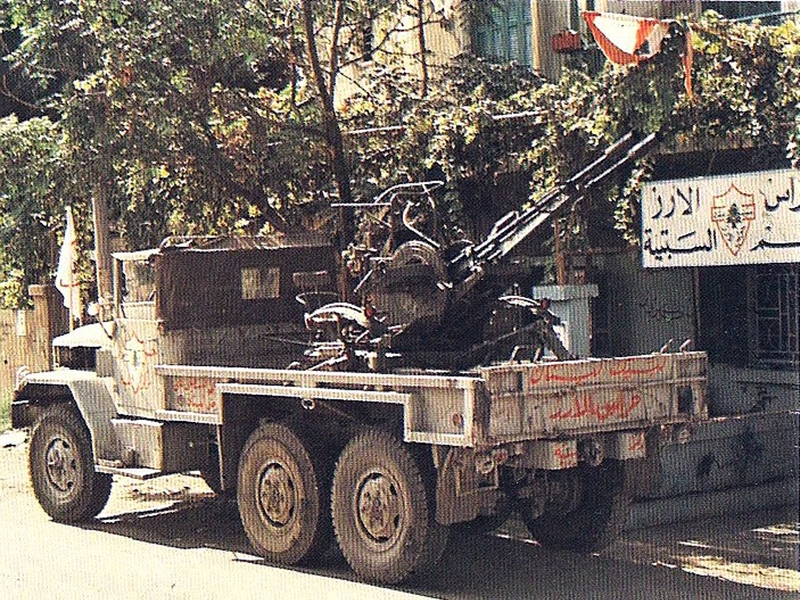 An M34 armed with a ZU-23-2 AA gun belonging to the Guardians of the Cedars during the early stages of the Lebanese Civil War. 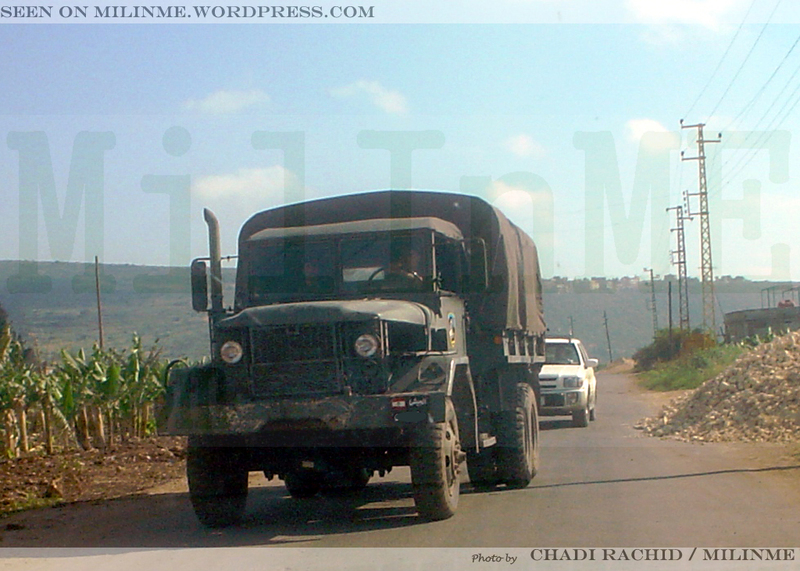 A Lebanese Army M35A1/A2 cargo truck of of the 8th Mechanized Brigade on Lebanese highway, July 2005. 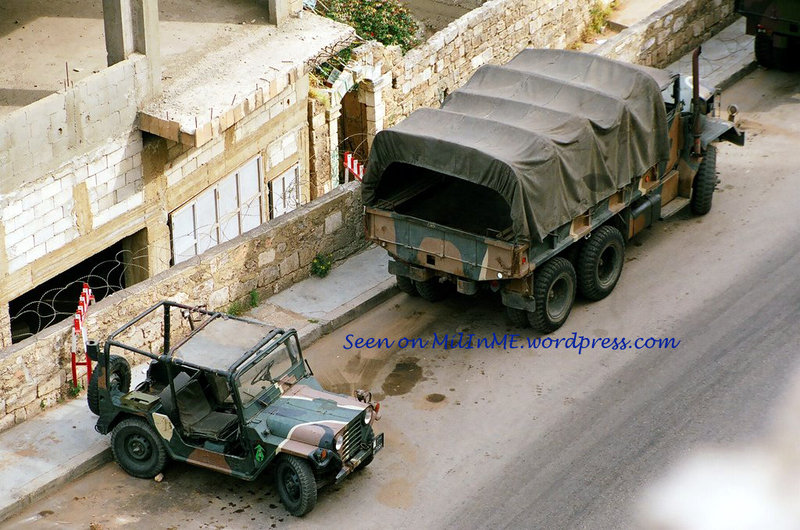 A Lebanese Army M35A1/A2 cargo truck of of an Intervention Regiment, Beirut, January 2005. 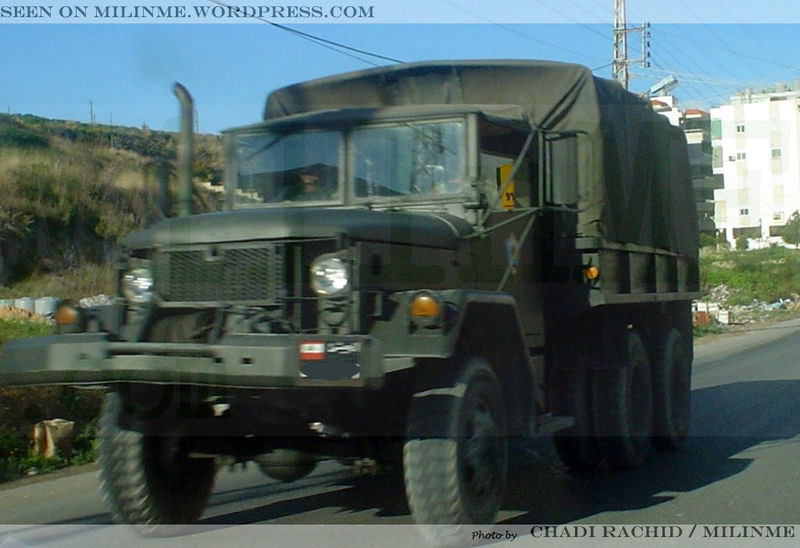 A Lebanese Army M35A1/A2 cargo truck of of the 3rd Mechanized Brigade on Lebanese roads, February 2007. 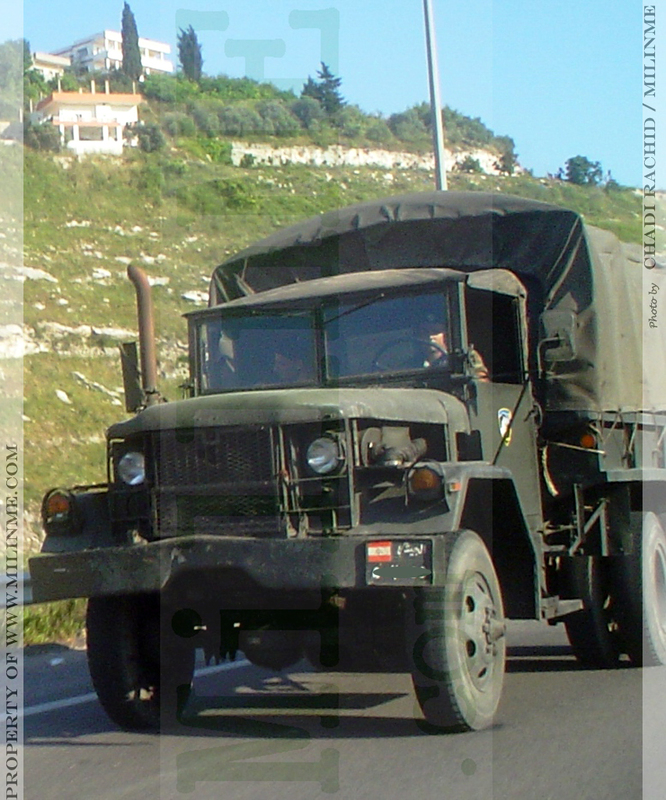 A Lebanese Army M35A1/A2 cargo truck of of the 12th Mechanized Brigade on Lebanese roads, May 2006. 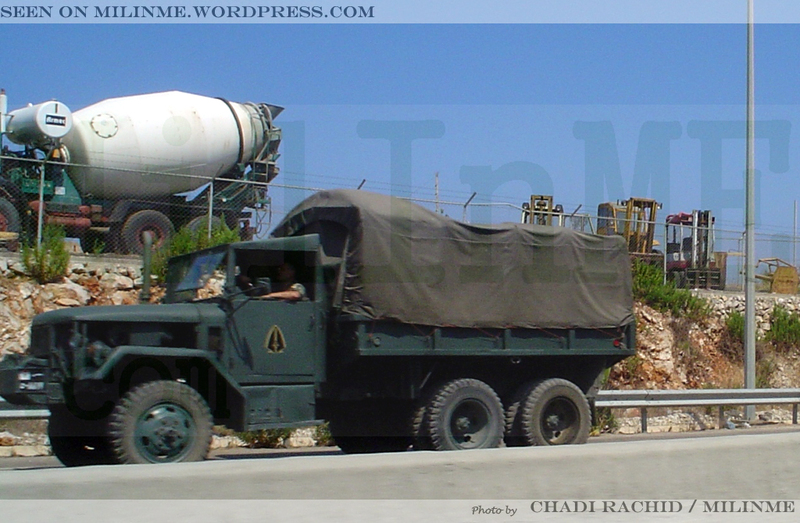 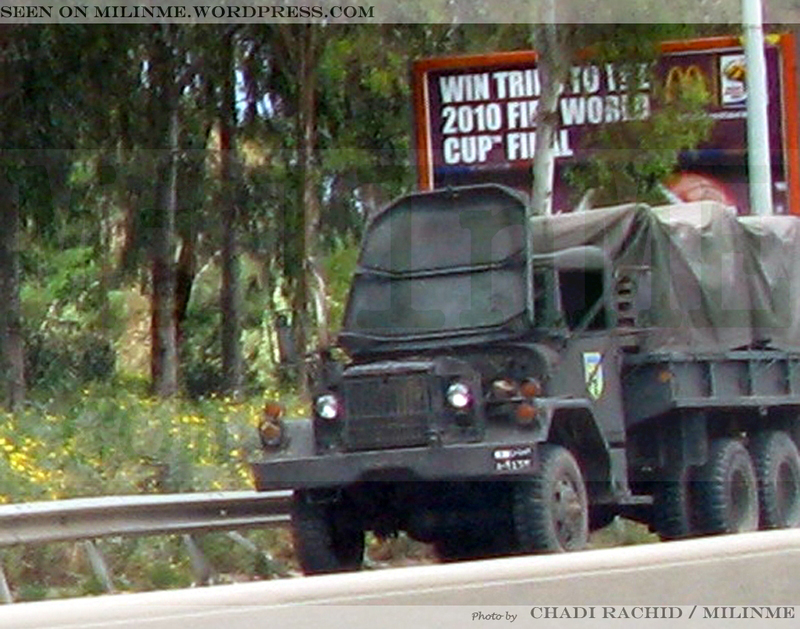 A Lebanese Army M35A1/A2 cargo truck of of the 12th Mechanized Brigade on Lebanese highway, June 2006. 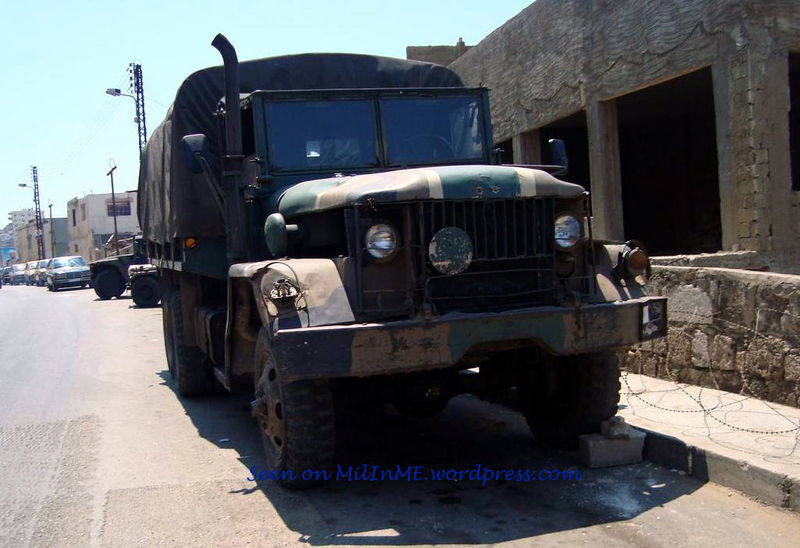 A broken down Lebanese Army M35A1/A2 cargo truck of the 11th Mechanized Brigade near the city of Sidon, April 2010. 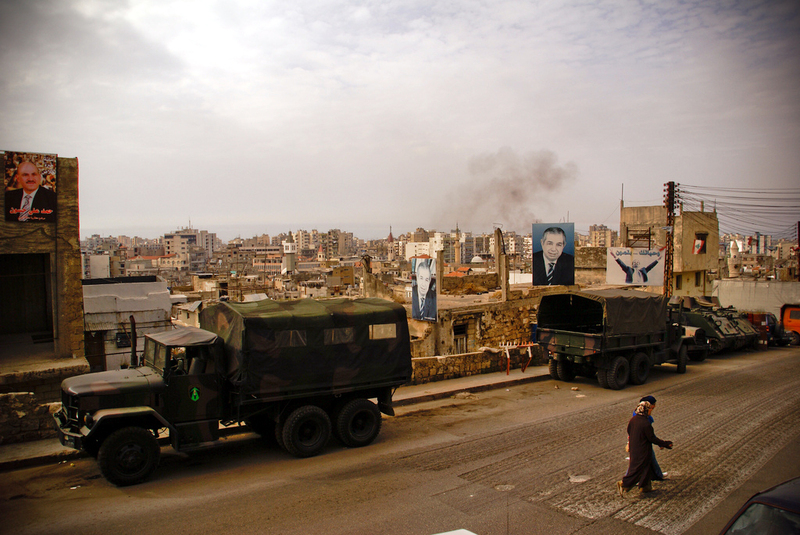 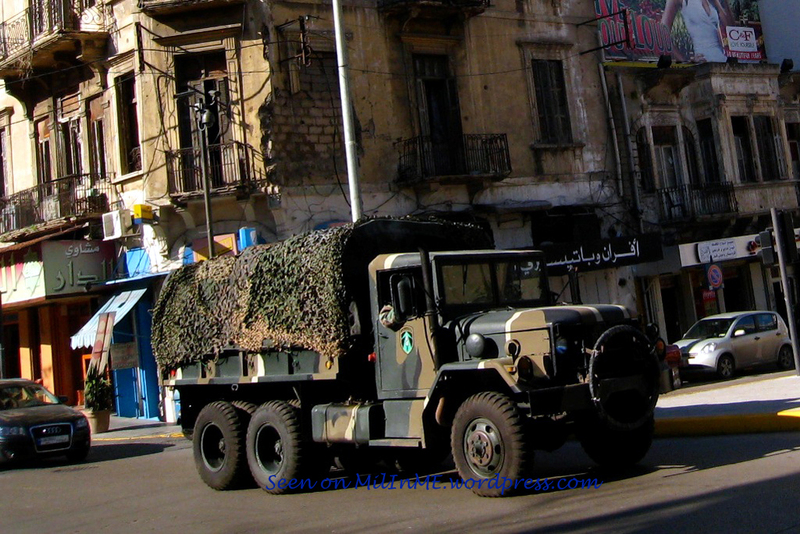 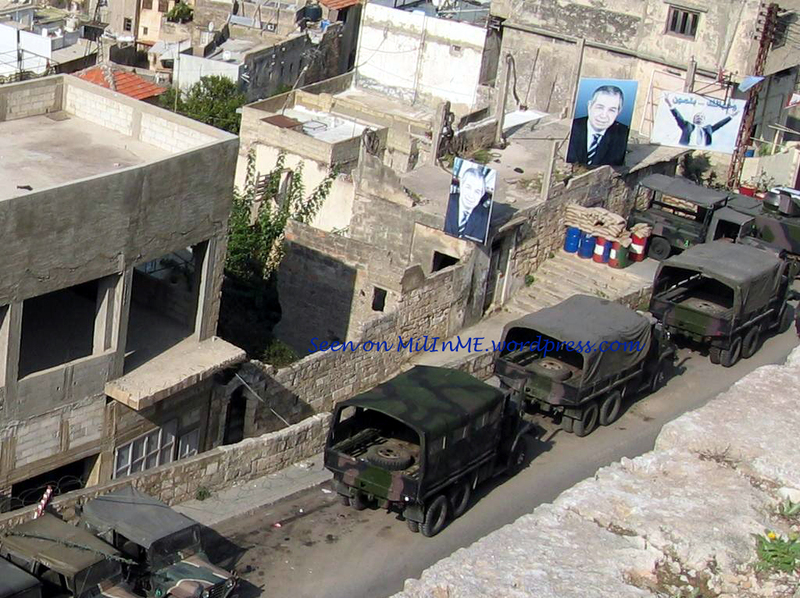 A Lebanese Army M35A1/A2 cargo truck in the city Sidon, October 2008. 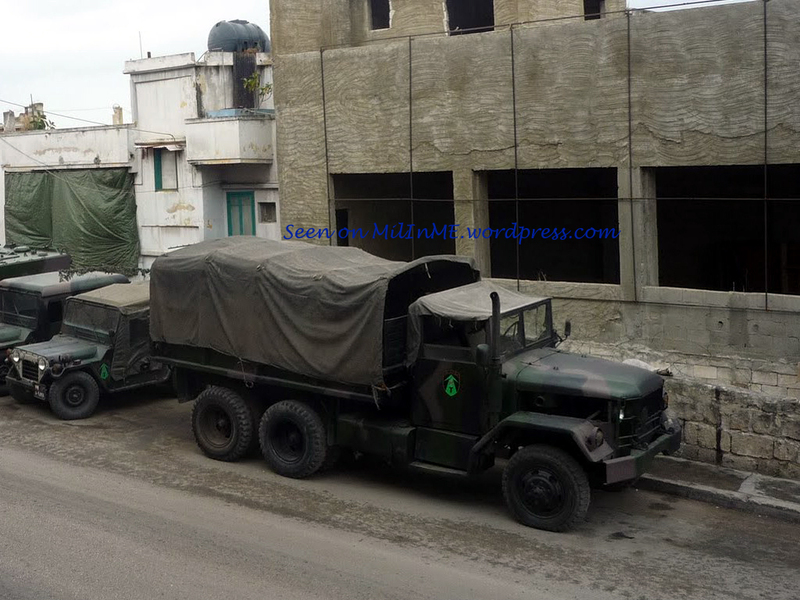 A Lebanese Army M35A1/A2 cargo truck of Moujawkal Regiment, April 2010. 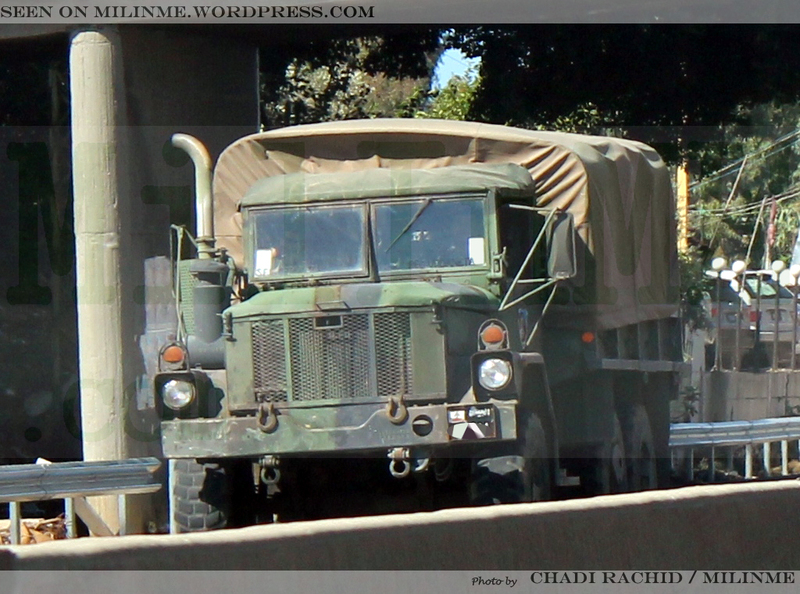 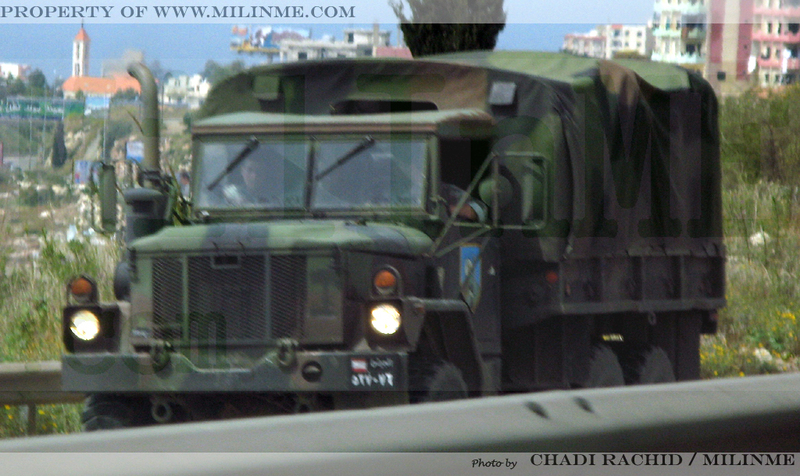 A Lebanese Army M35A1/A2 cargo truck of the Republican Guard during the Lebanese Independence Day, November 2011. 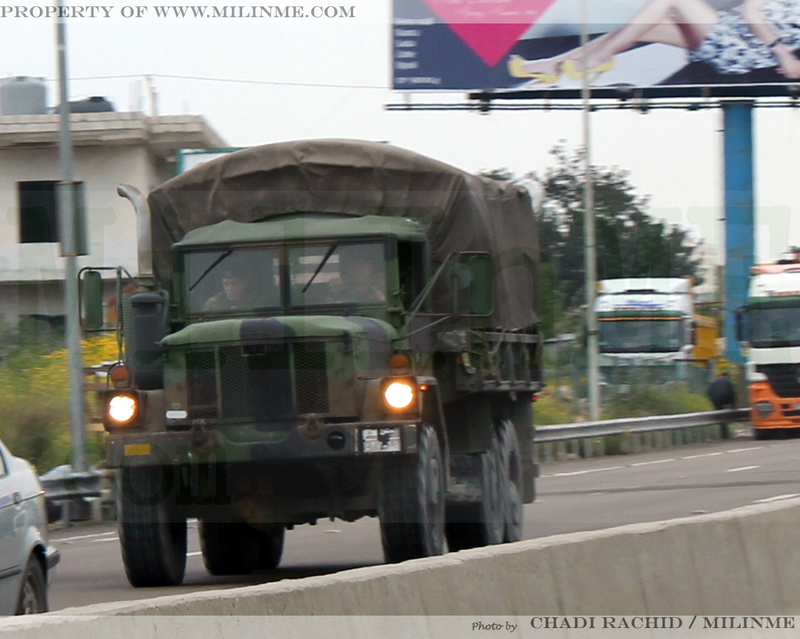 A Lebanese Army M35A1/A2 cargo truck of the 5th Mechanized Brigade, October 2010. 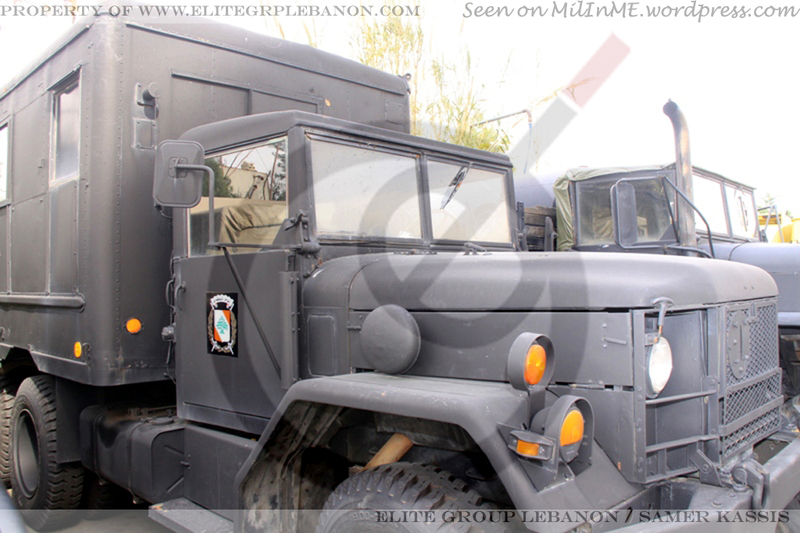 A Lebanese Army M35A1/A2 cargo truck of the Maghaweer Regiment during SMES 2011, Beirut, November 2011. 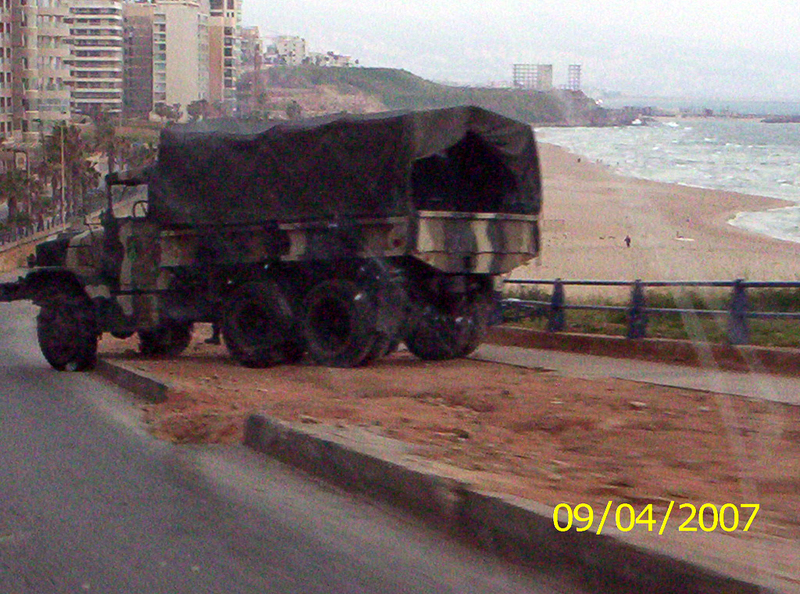 A Lebanese Army M35A1/A2 cargo truck of an Intervention Regiment on Beirut cornich, April 2007. 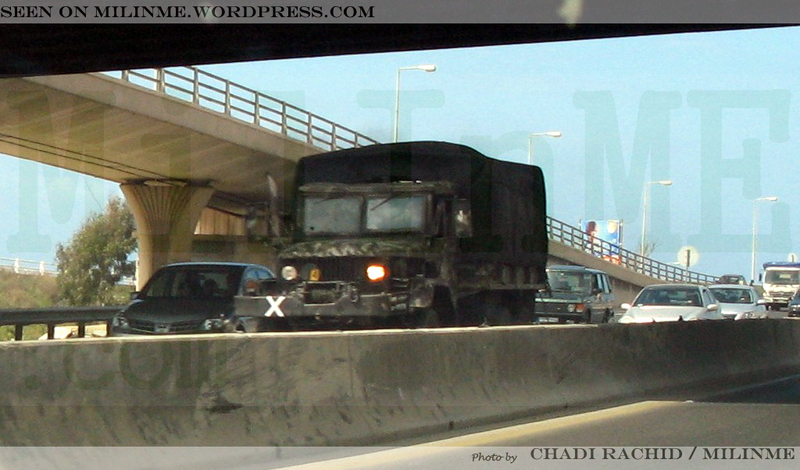 A Lebanese Army M35A1/A2 cargo truck of of the 7th Mechanized Brigade near the city of Tripoli, October 2003. 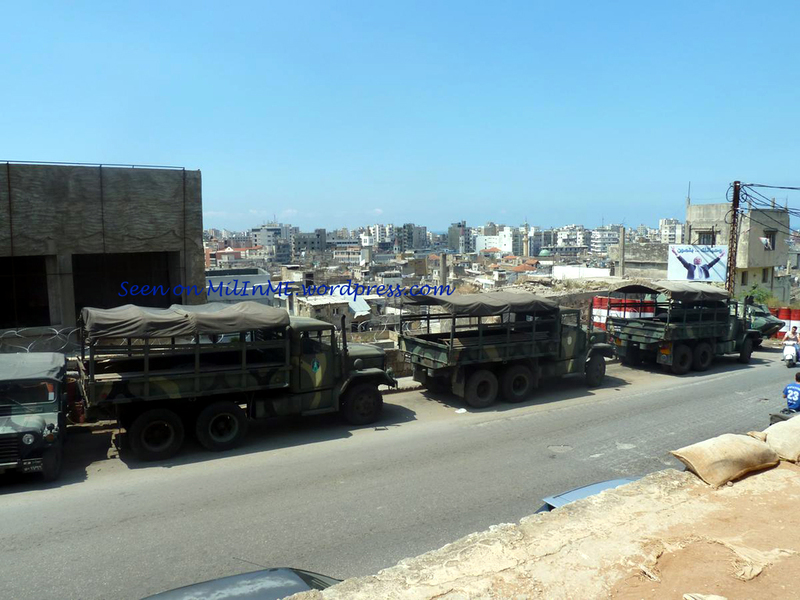 Lebanese Army M35A1/A2 cargo trucks preparing for deployment, March 2007. 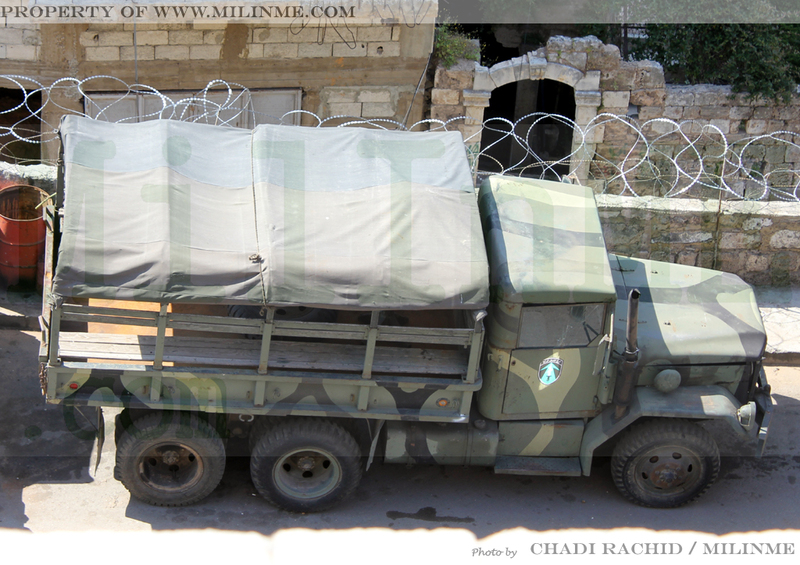 A Lebanese Army M35A1/A2 cargo truck in Beirut, October 2007. 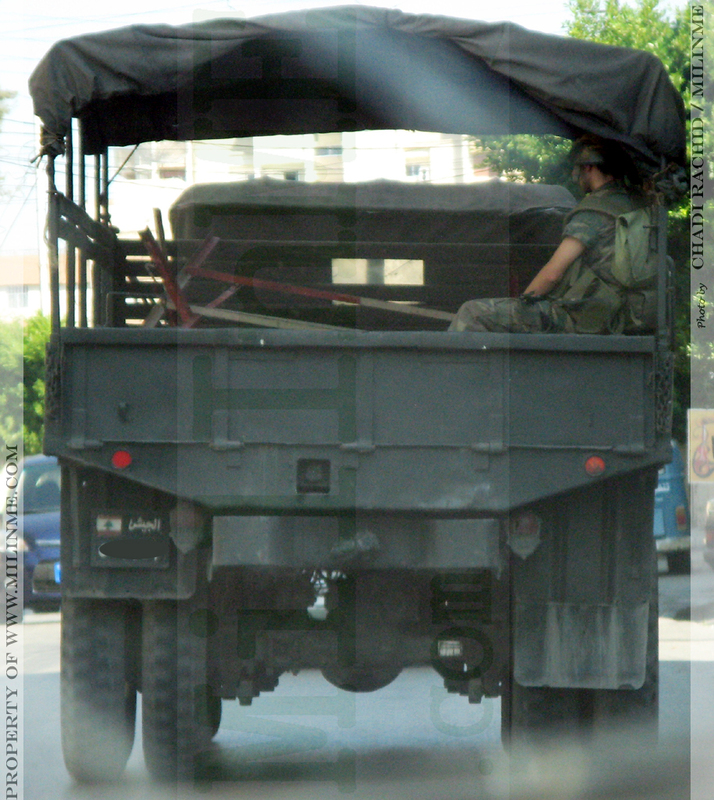 A Lebanese Army M35A1/A2 cargo truck in Beirut, July 2007. 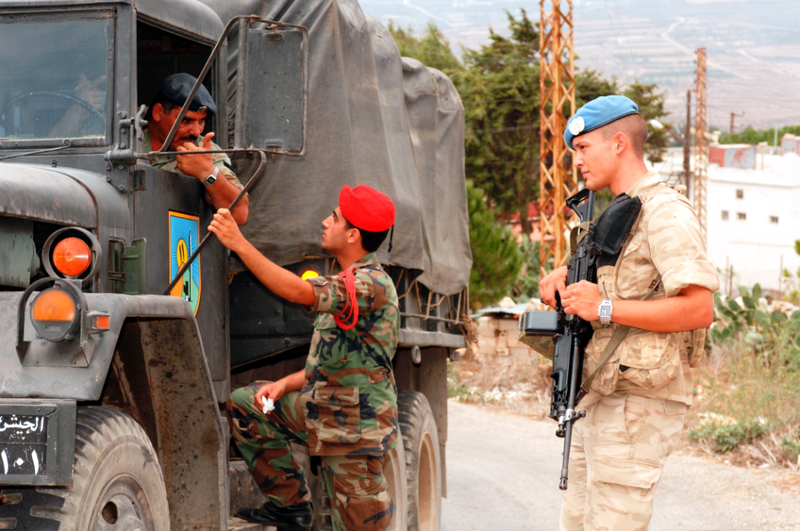 A Lebanese Army M35A1/A2 cargo truck of the 11th Mechanized Brigade near a soldier of the BELUFIL, September 2007. 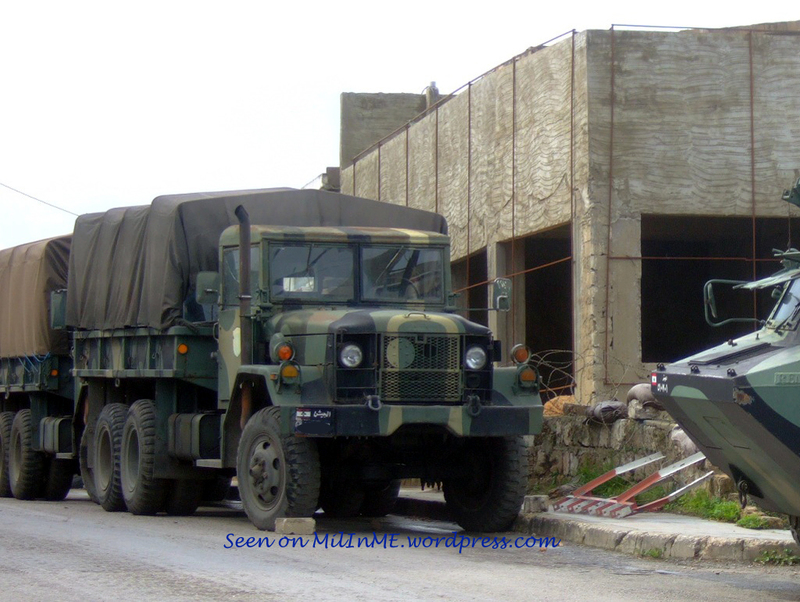 A Lebanese Army M35A1/A2 cargo truck of the 7th Mechanized Brigade next to a checkpoint, August 2009. 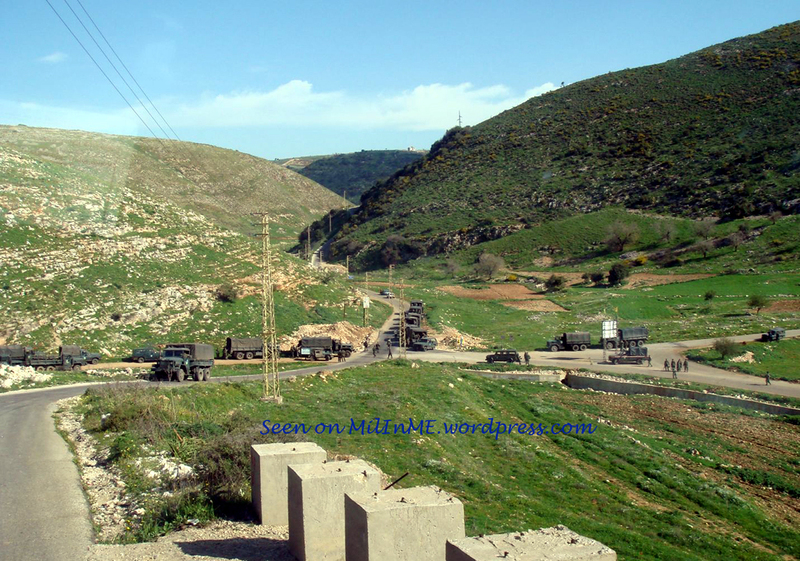 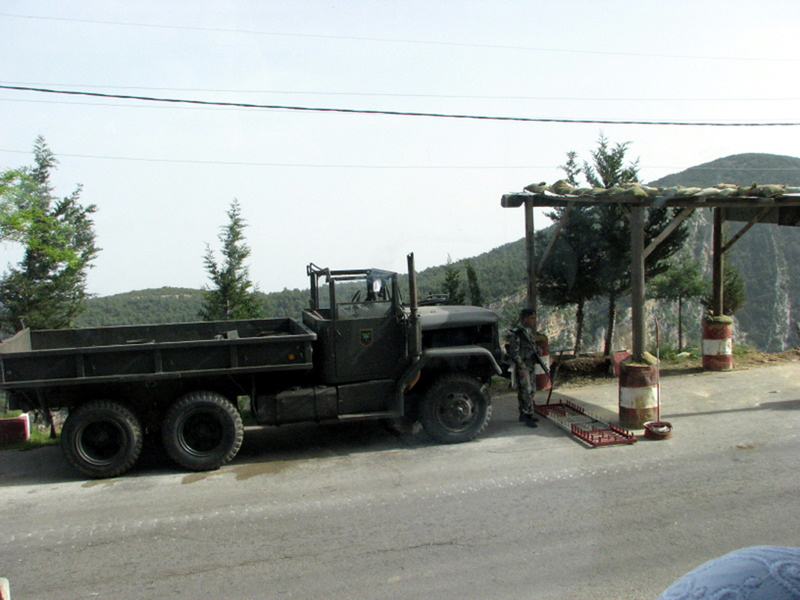 A Lebanese Army M35A1/A2 cargo truck of the 7th Mechanized Brigade parked next to a checkpoint in the mountains, April 2008. 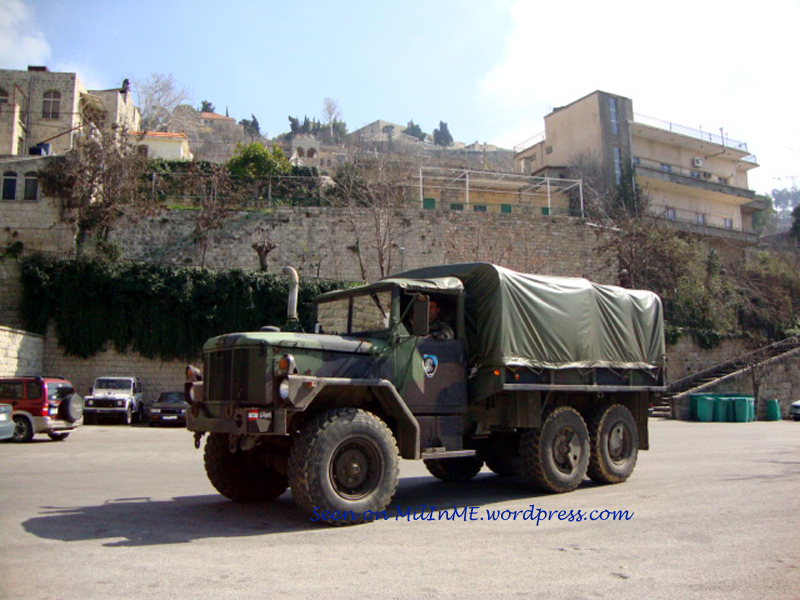 A Lebanese Army M35A1/A2 cargo truck in Beirut, May 2008. 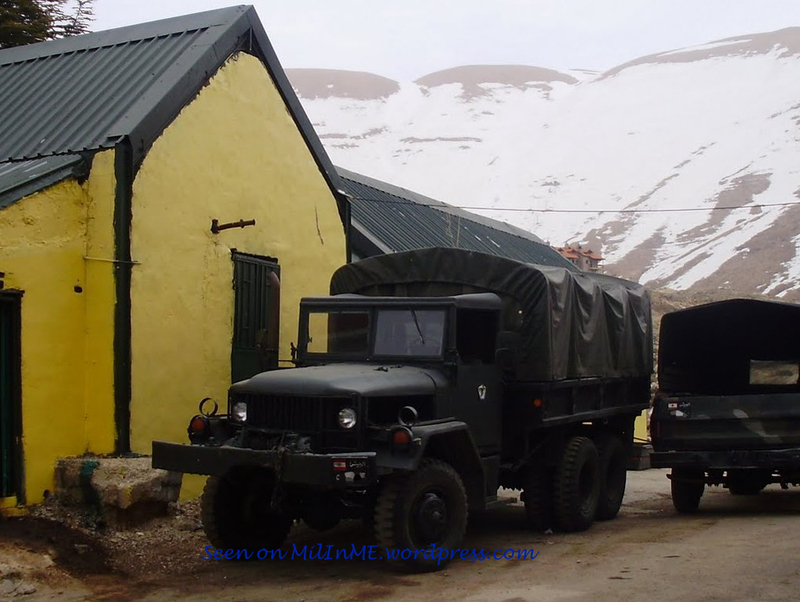 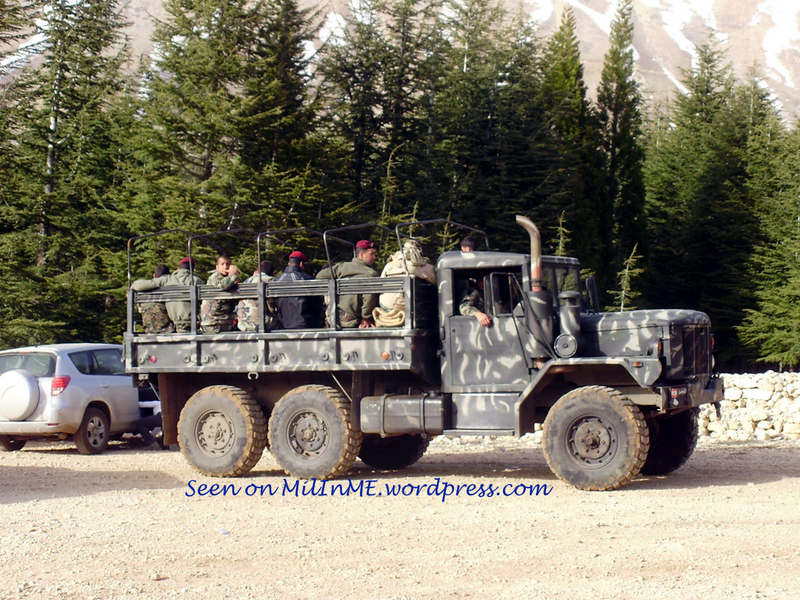 A Lebanese Army M35A1/A2 cargo truck in snowy mountains, March 2003. 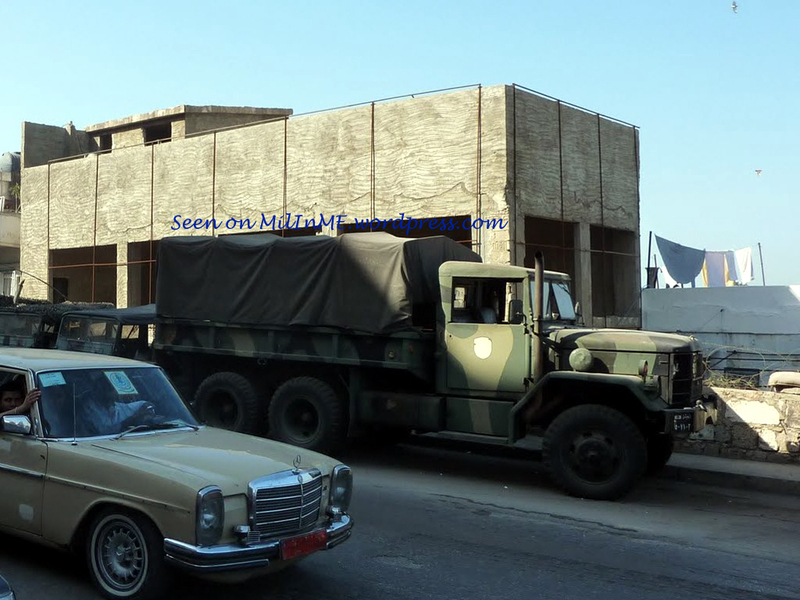 A Lebanese Army M35A1/A2 cargo truck of an Intervention Regiment, Beirut, January 2010. 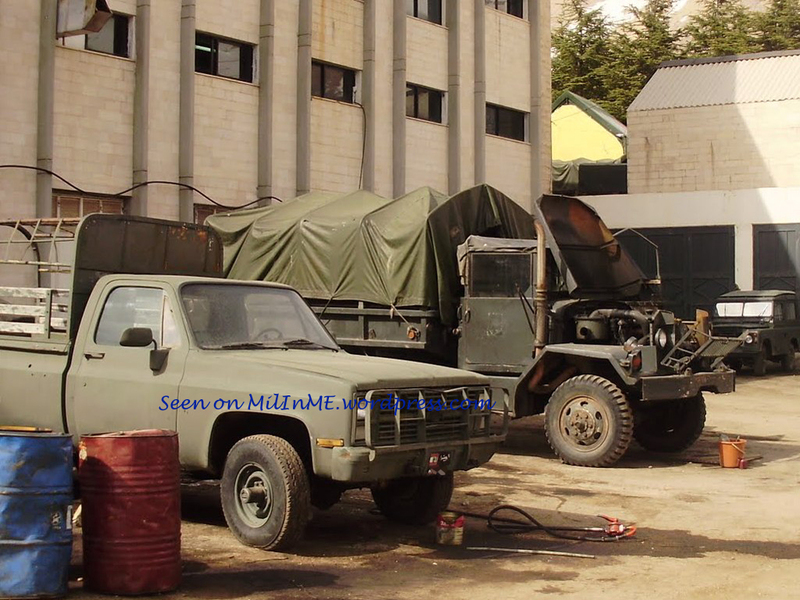 A Lebanese Army M35A1/A2 cargo truck during routine maintenance, March 2010. 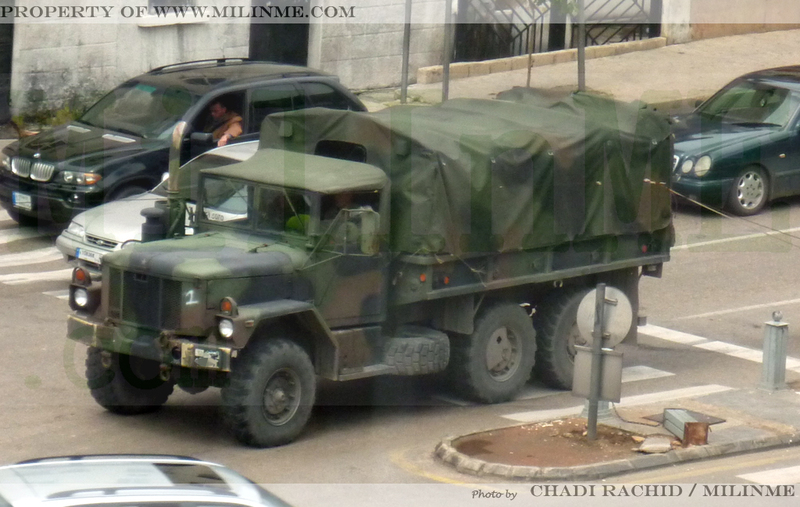 A Lebanese Army M35A1/A2 cargo truck of of the 6th Mechanized Brigade near the Virgin Megastore, downtown Beirut, January 2011. 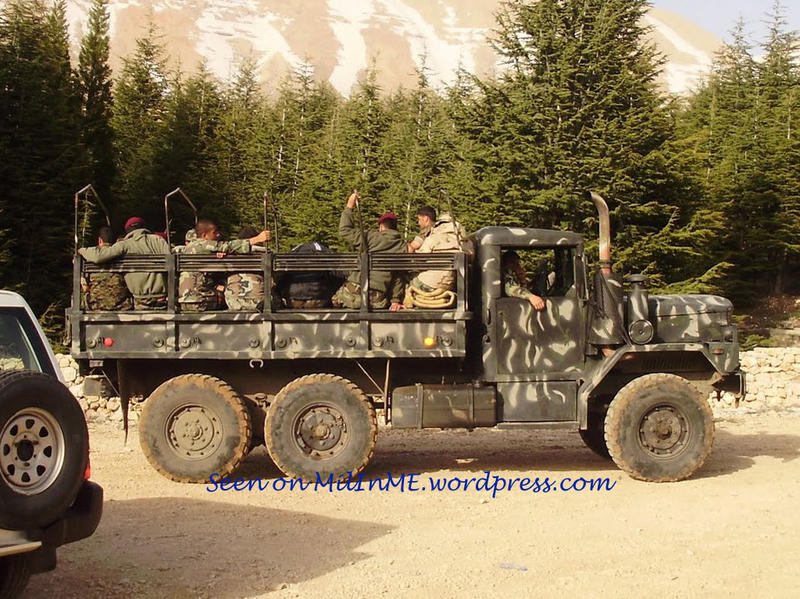 A Lebanese Army M35A1/A2 cargo truck of the Maghaweer Regiment, March 2010. 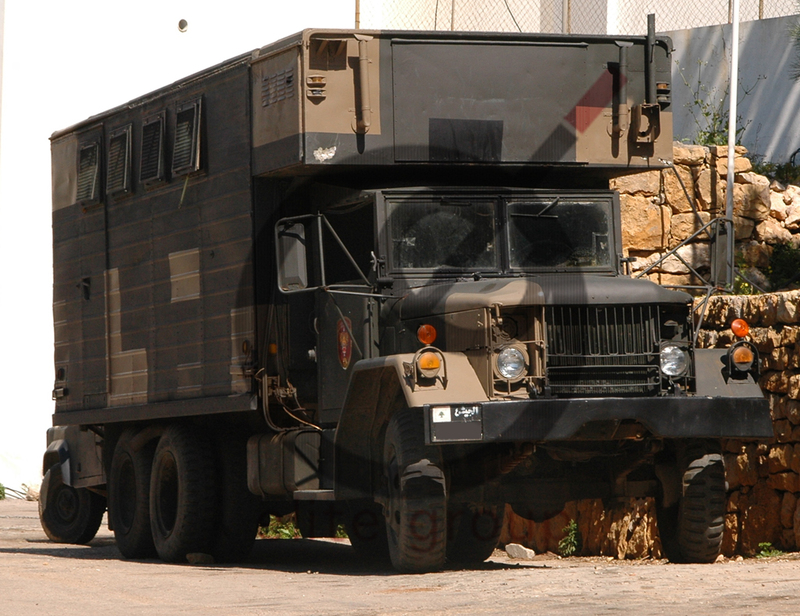 A Lebanese Army M35A1/A2 cargo truck, August 2010. 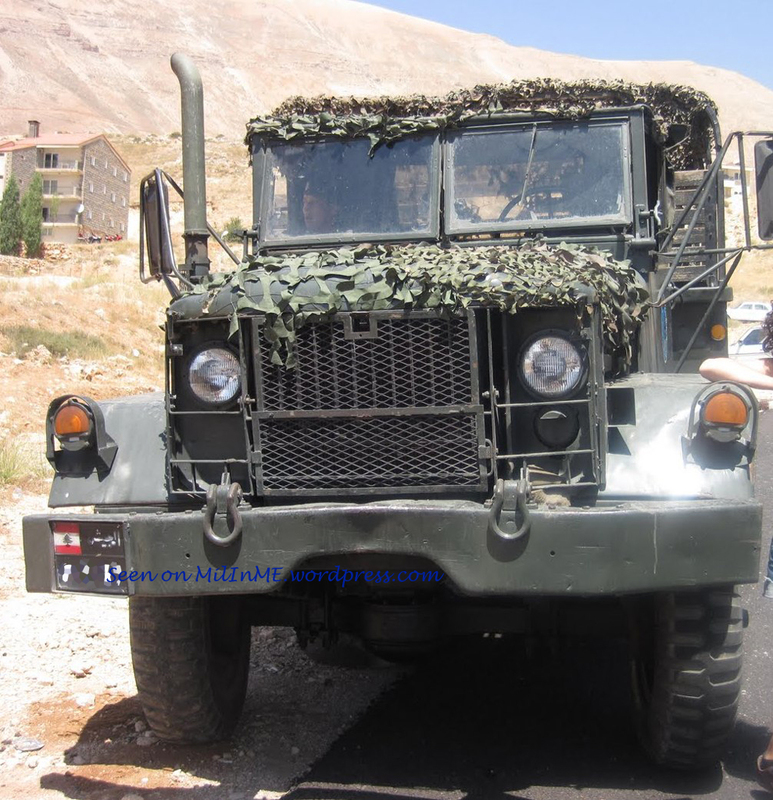 A Lebanese Army M35A1/A2 cargo truck of the 3rd Mechanized Brigade at Dahr ElBaidar mountain pass. 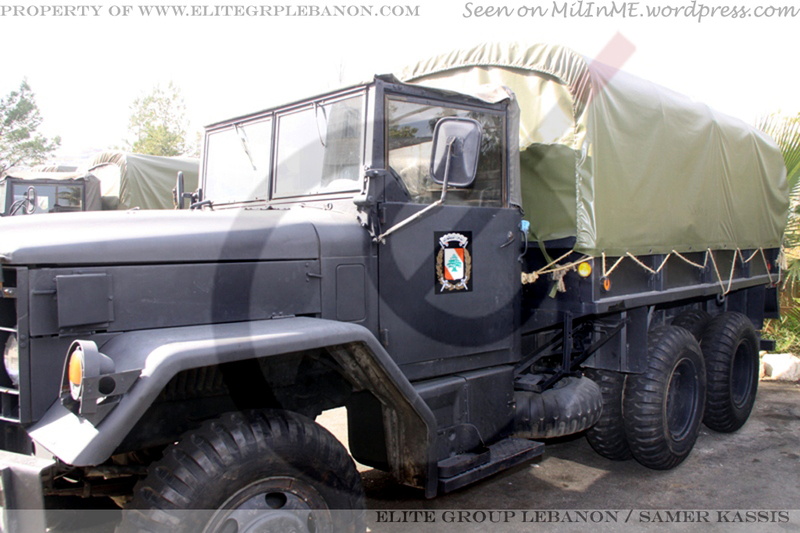 A Lebanese Army M35A1/A2 cargo truck of the Maghaweer Regiment, March 2011. 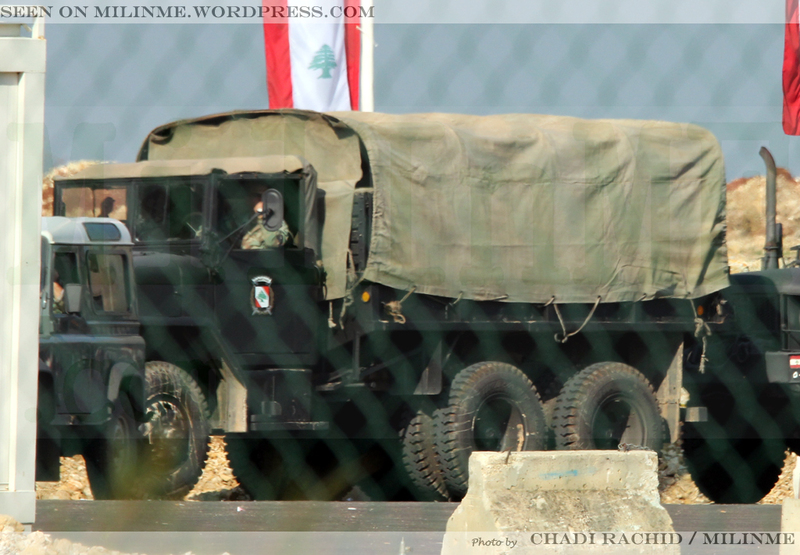 A Lebanese Army M35A1/A2 cargo truck of the 1st Armored Regiment. 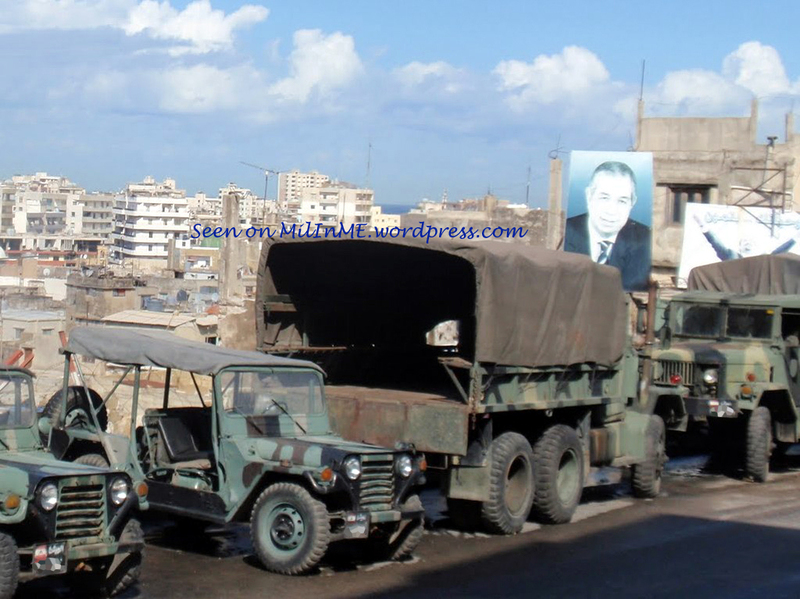 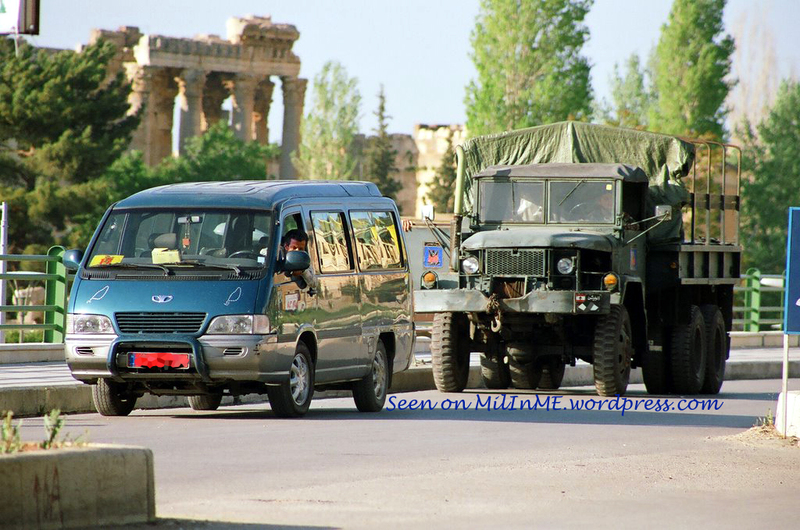 A Lebanese Army M35A1/A2 cargo truck of the 5th Mechanized Brigade in the city of Baalbeck. 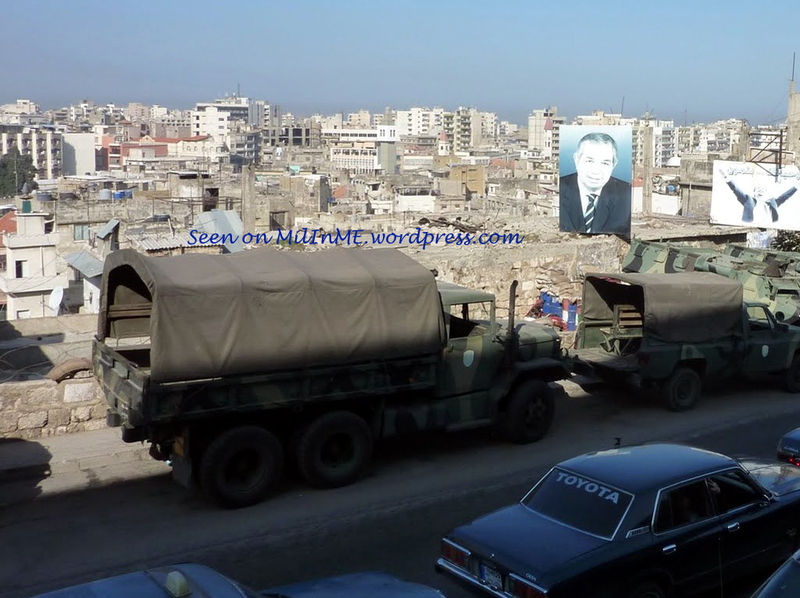 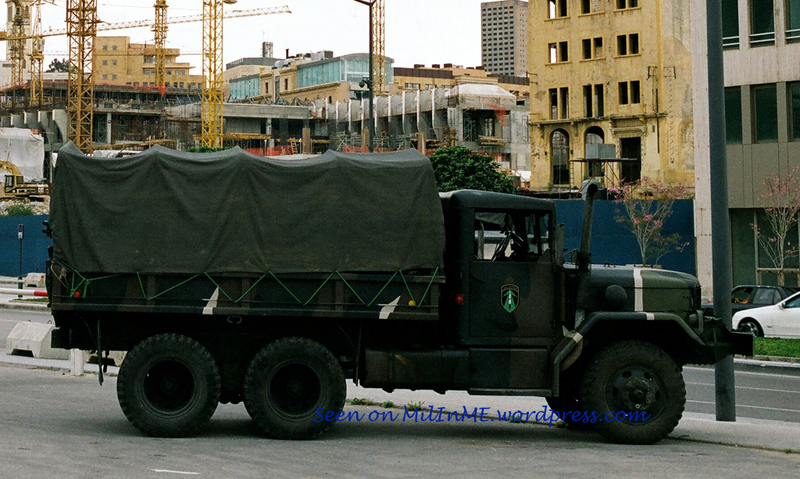 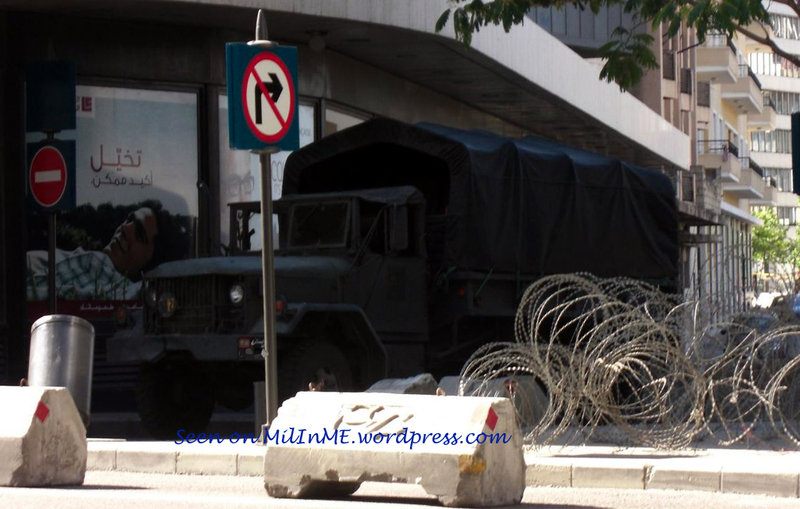 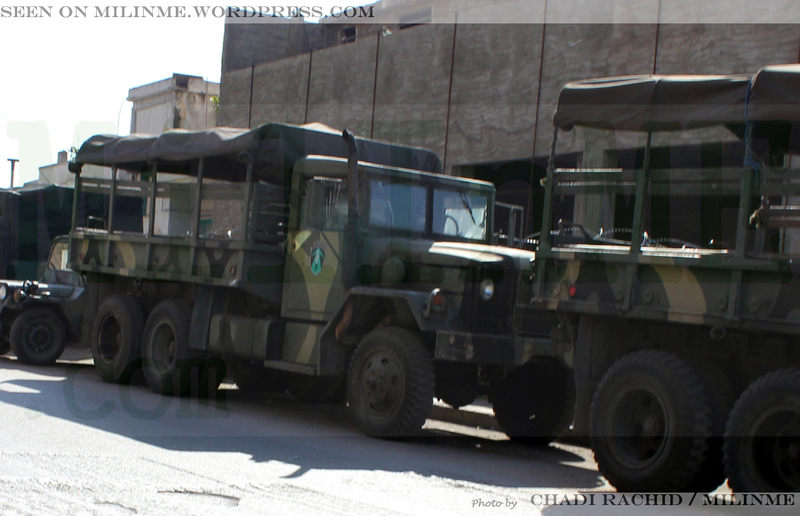 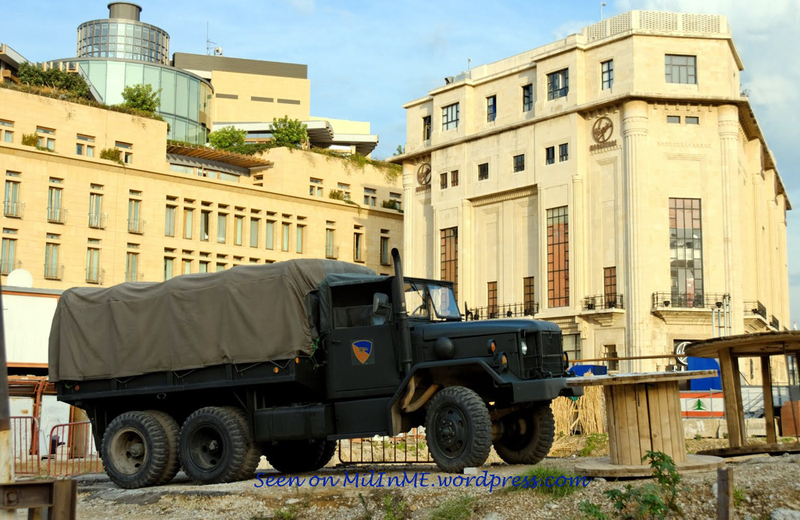 A Lebanese Army M35A1/A2 cargo truck of an Intervention Regiment in downtown Beirut. 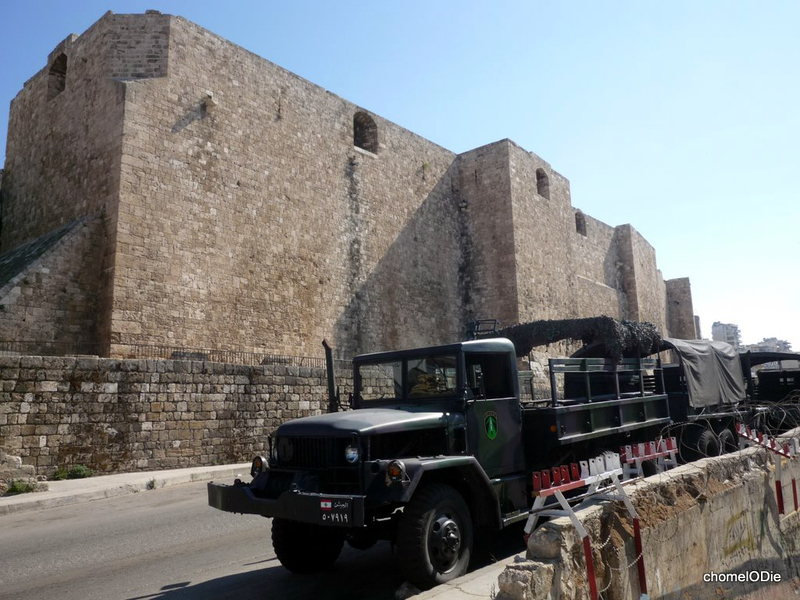 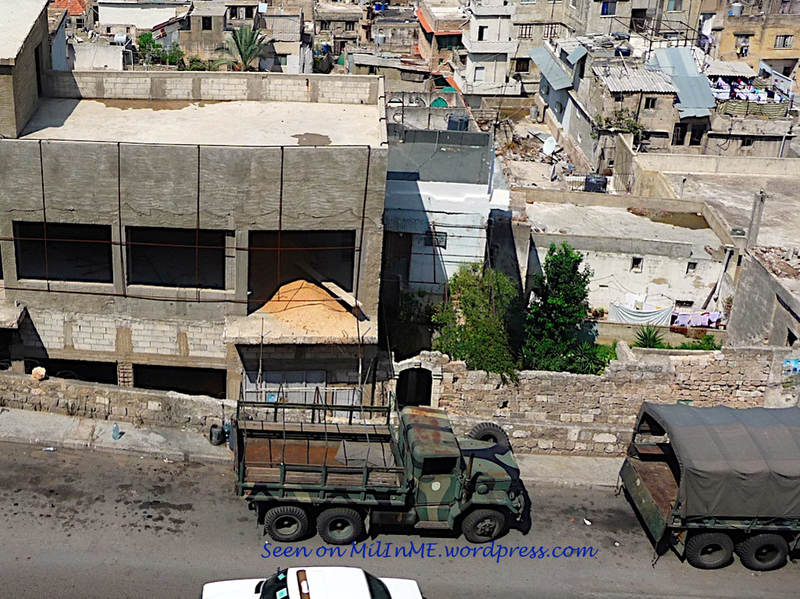 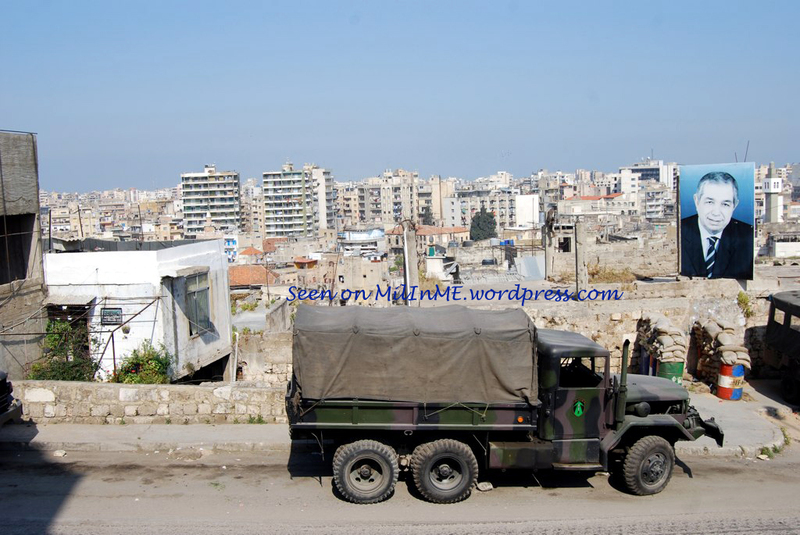 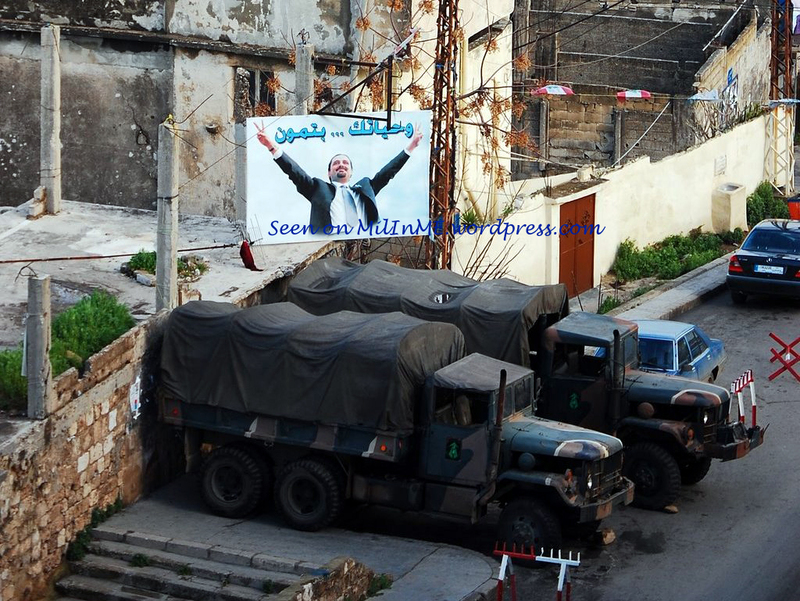 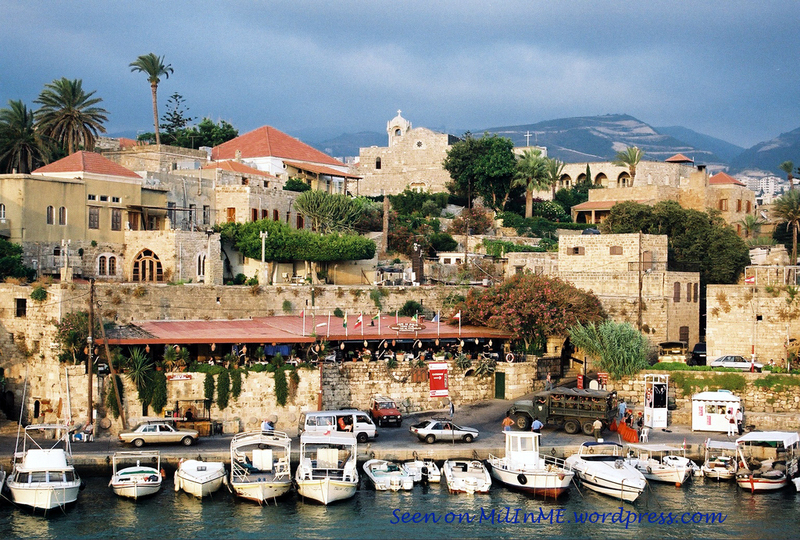 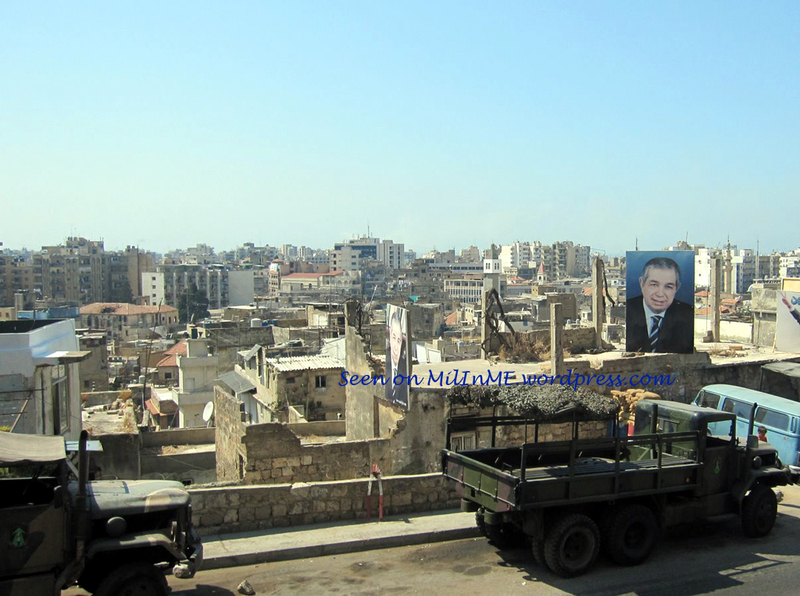 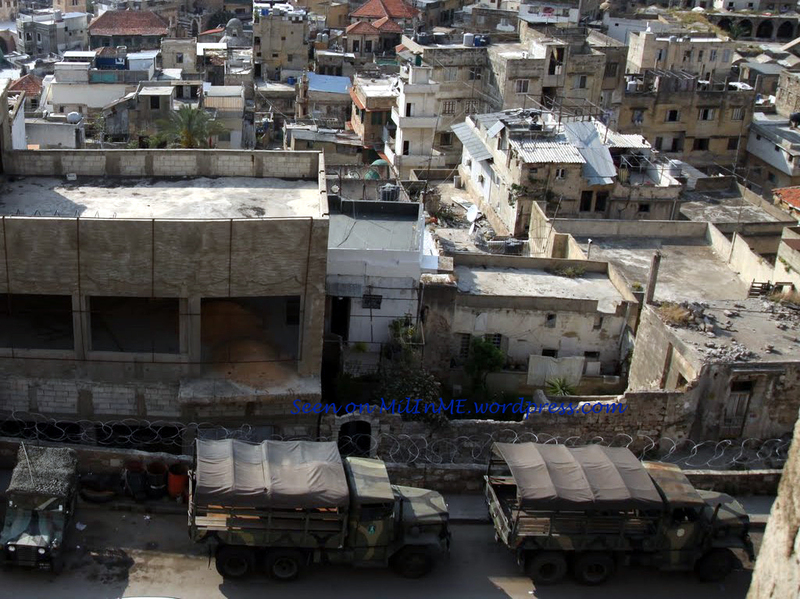 A Lebanese Army M35A1/A2 cargo truck of the 11th Mechanized Brigade in the antic Phoenician city of Byblos. 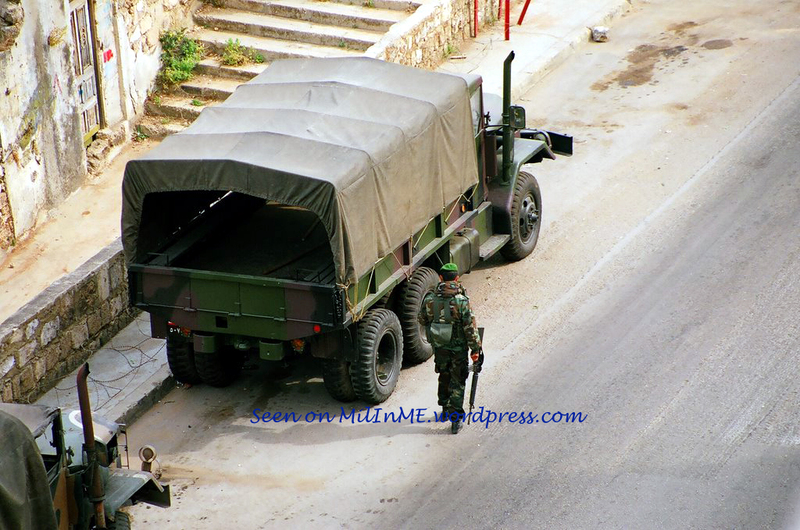 A Lebanese Army M35A3 of the 6th Mechanized Brigade, October 2008. 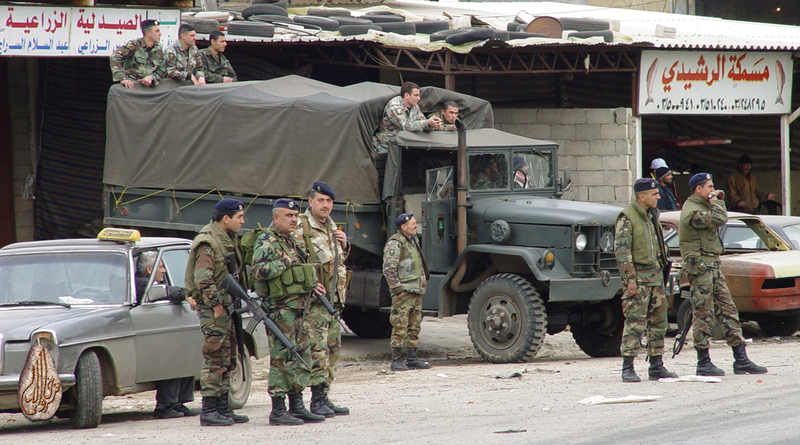 A Lebanese Army M35A3 of the Maghaweer Regiment, February 2010. 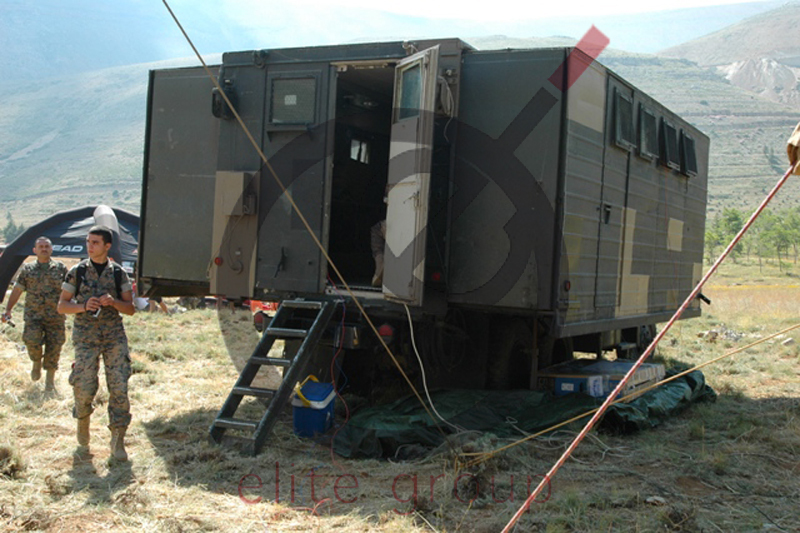 A Lebanese Army M35A3 of the Maghaweer Regiment, March 2010. 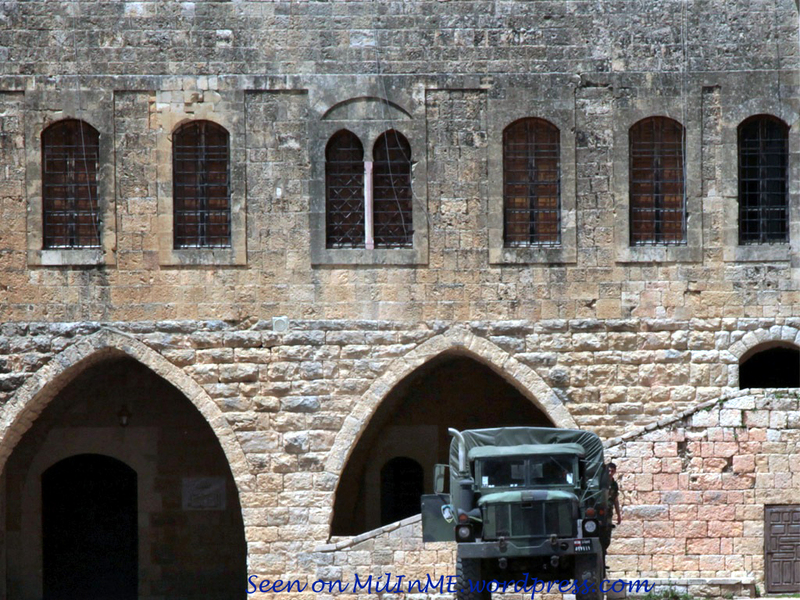 A Lebanese Army M35A3 of the 12th Mechanized Brigade at Beiteddine Palace, March 2011. 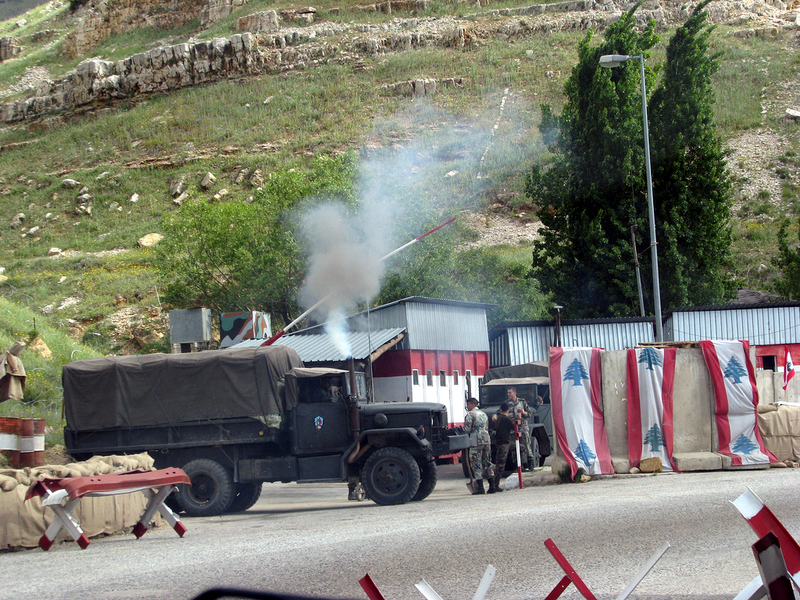 A Lebanese Army M35A3 of the 5th Mechanized Brigade, May 2011. 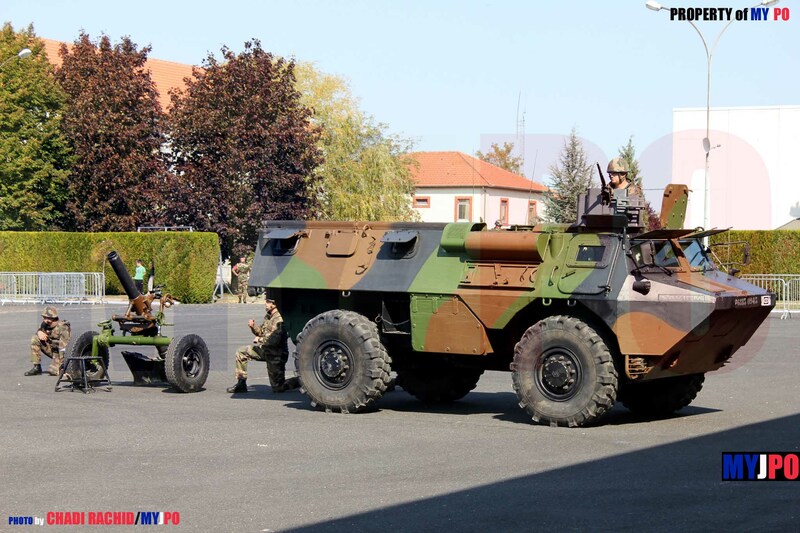 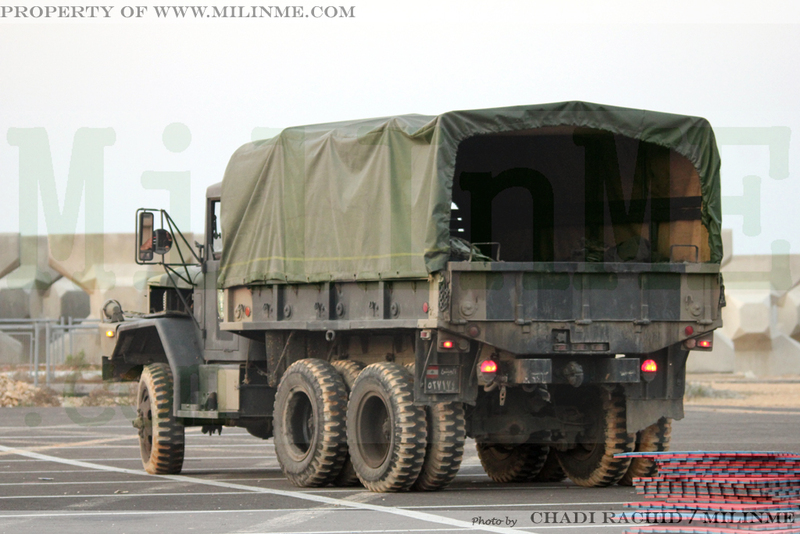 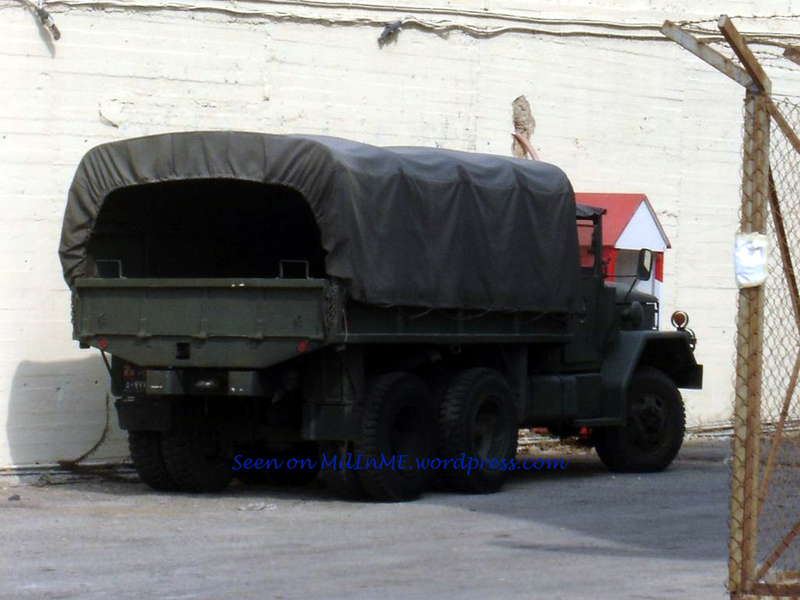 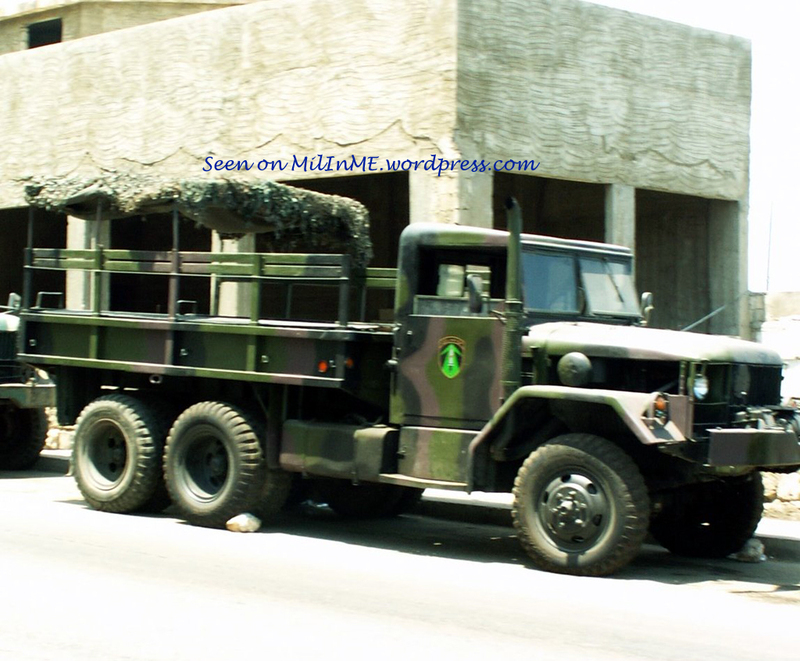 Although the spare wheel is an M35A3 wheel, note that the truck is reequipped with M35A1/A2 wheels. 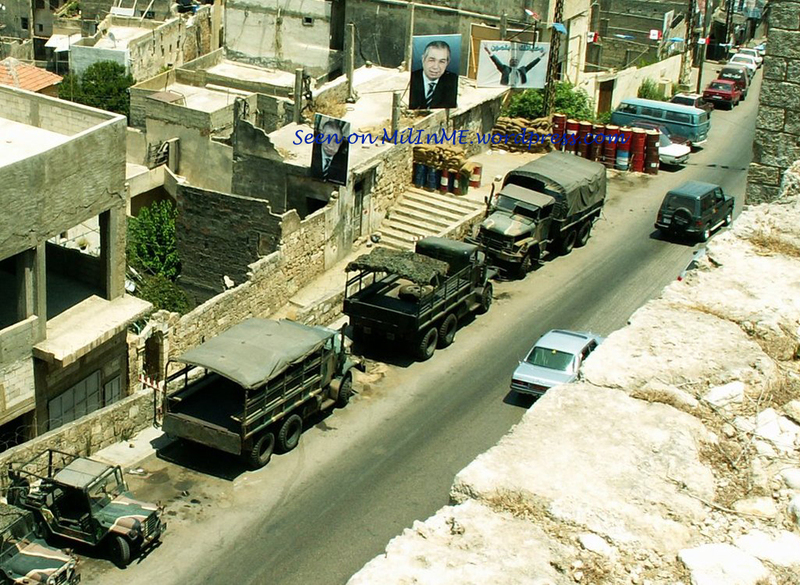 A Lebanese Army M35A3 of the 12th Mechanized Brigade at Beiteddine Palace, May 2011. 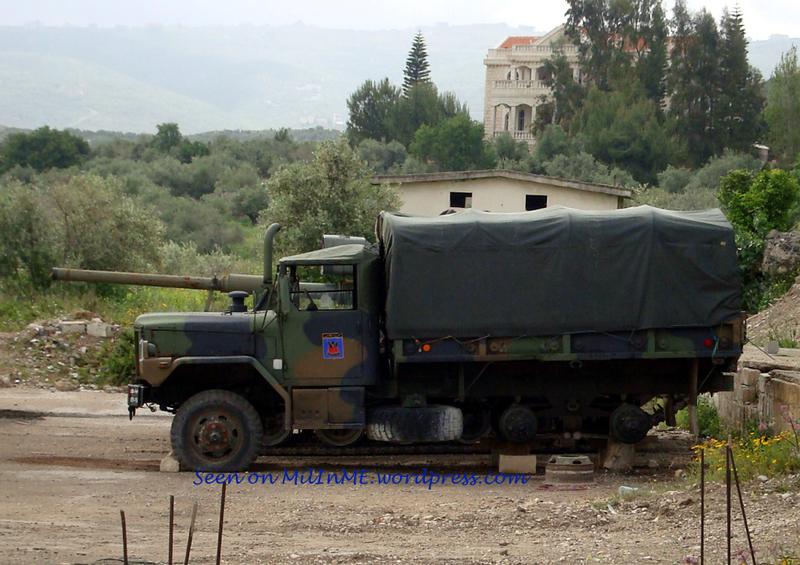 A close up of a Lebanese Army M35A3 of the 12th Mechanized Brigade at Beiteddine Palace, May 2011. 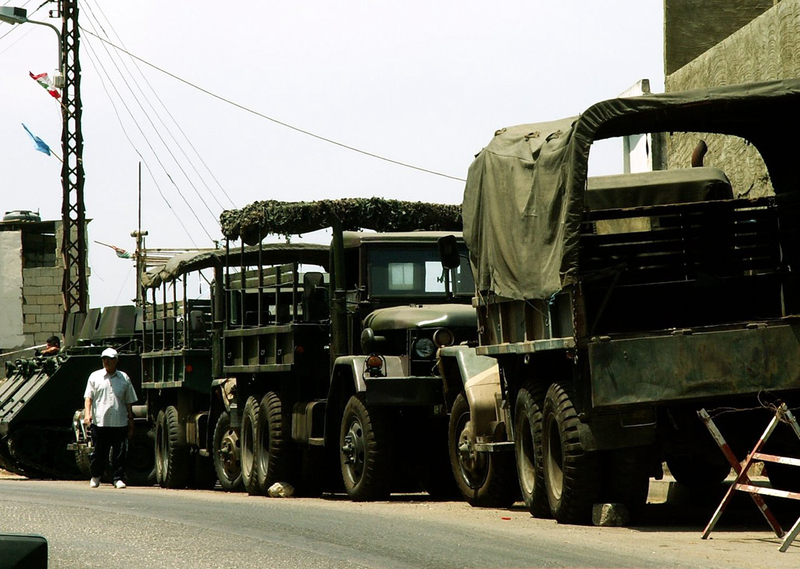 A Lebanese Army M35A3 of the 11th Mechanized Brigade, April 2010. 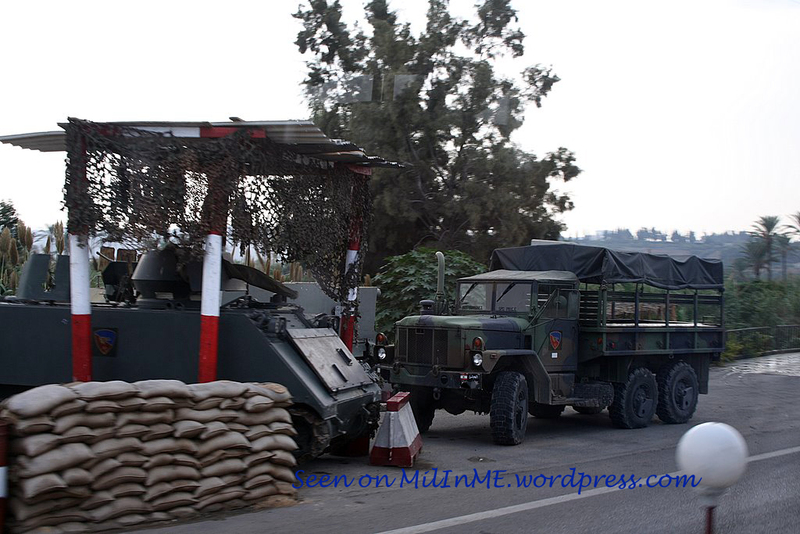 A Lebanese Army M35A3 of the 12th Mechanized Brigade, October 2010. 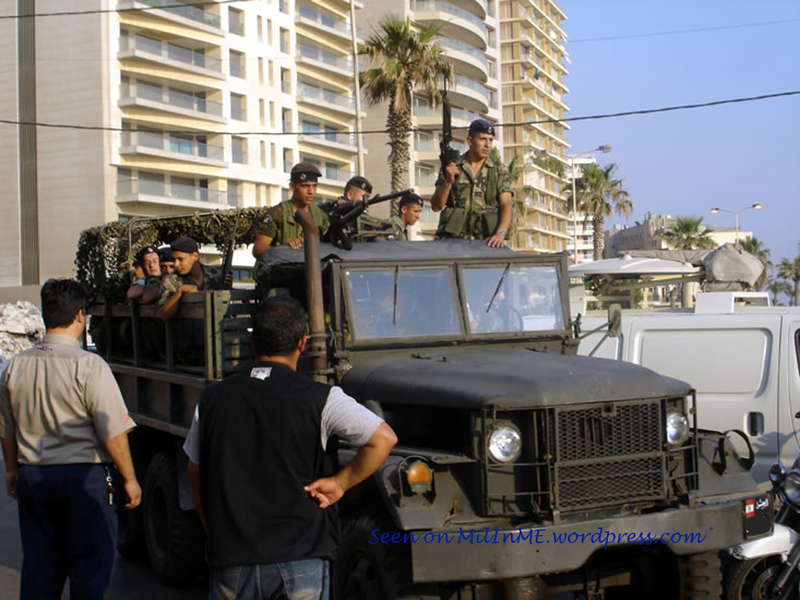 A Lebanese Army M35A3 of an unknown unit, Sidon, March 2011. 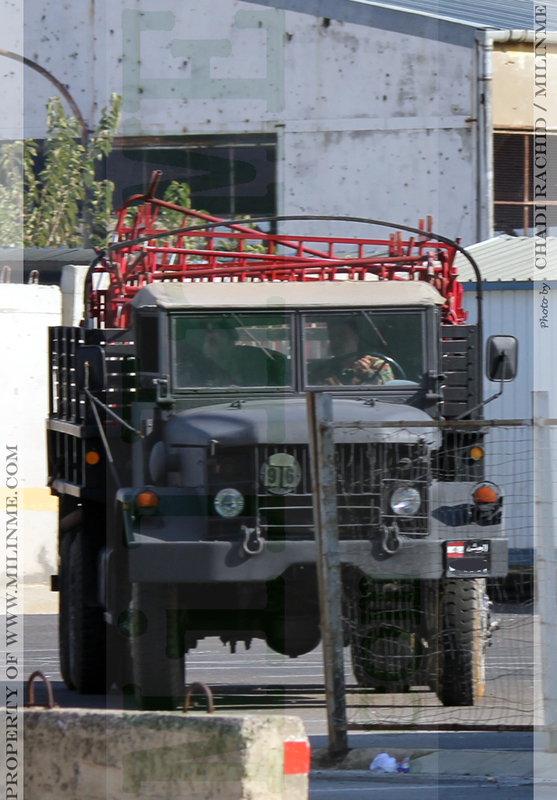 A Lebanese Army M35A3 of the 1rst Mechanized Brigade, April 2011. 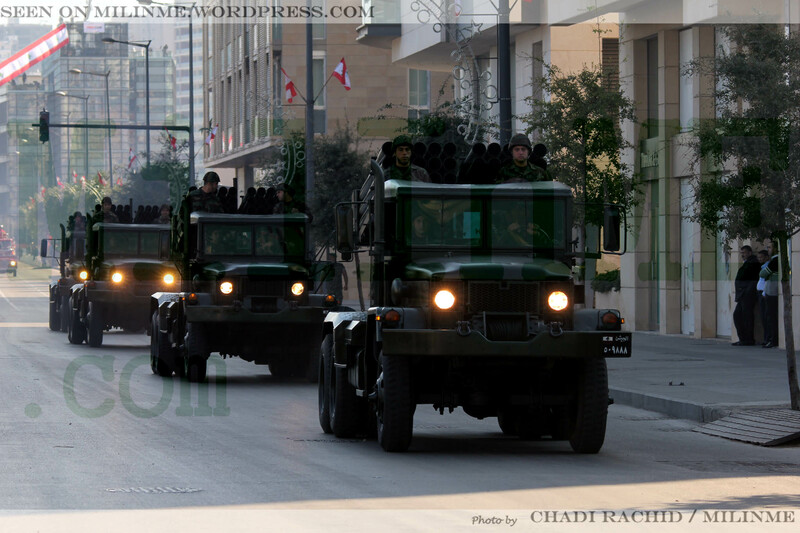 A Lebanese Army M35A3 of the 1rst Mechanized Brigade during independence day 2011, November 2011. 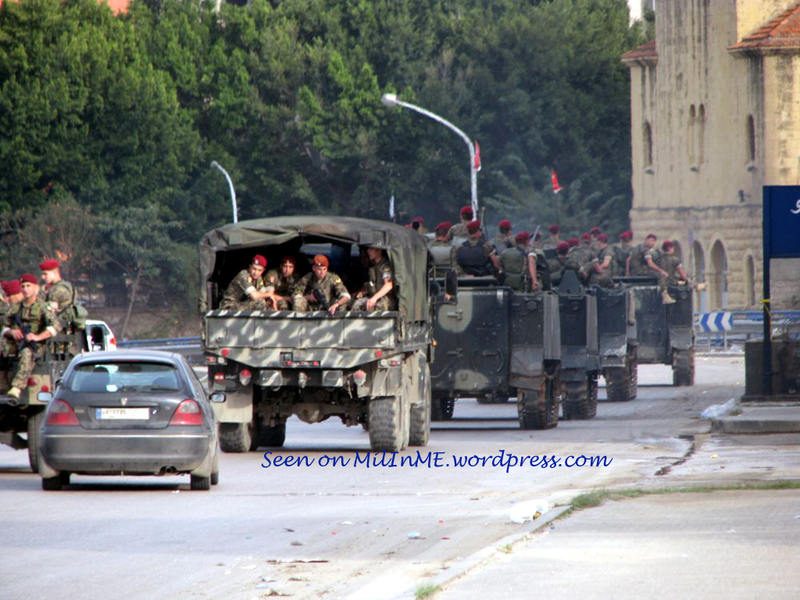 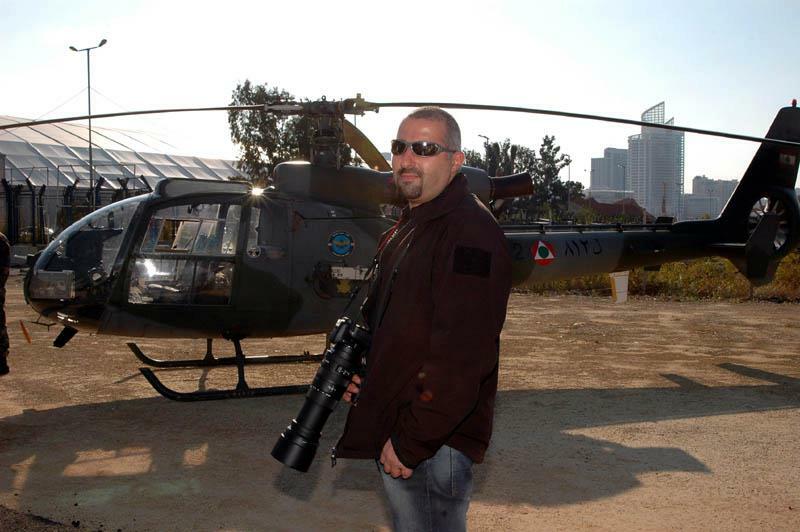 A Lebanese Army M35A3 of the Maghaweer Regiment during SMES 2011, November 2011. 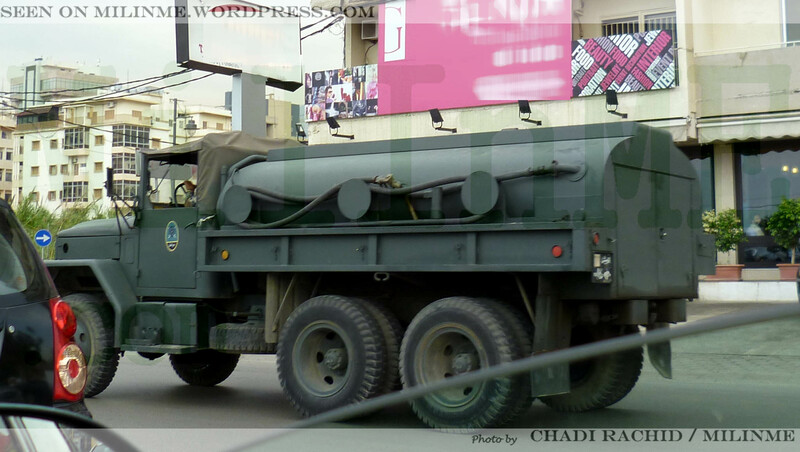 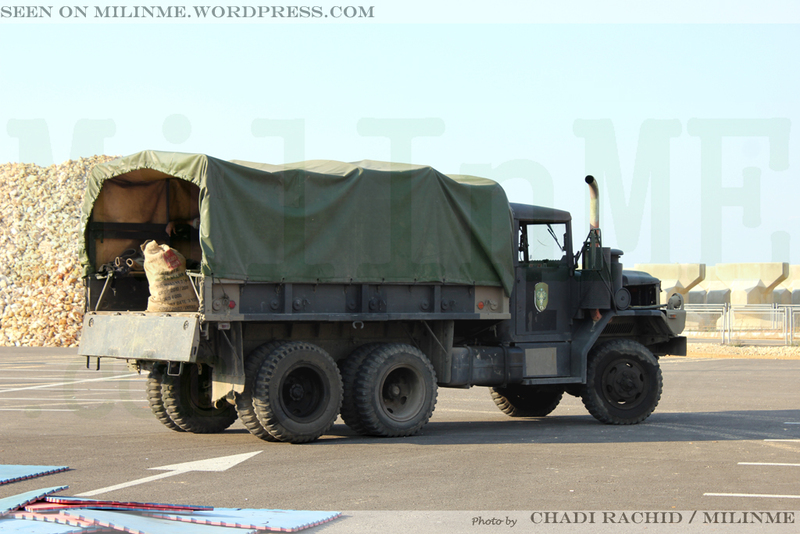 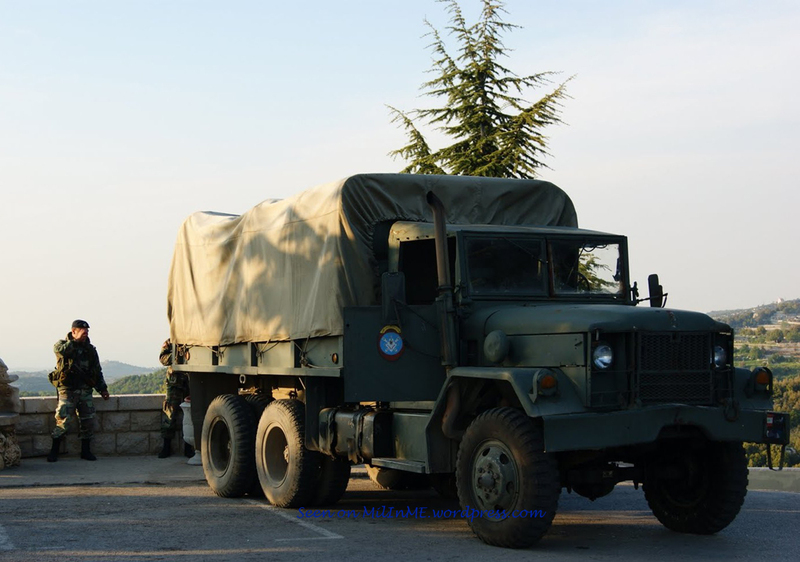 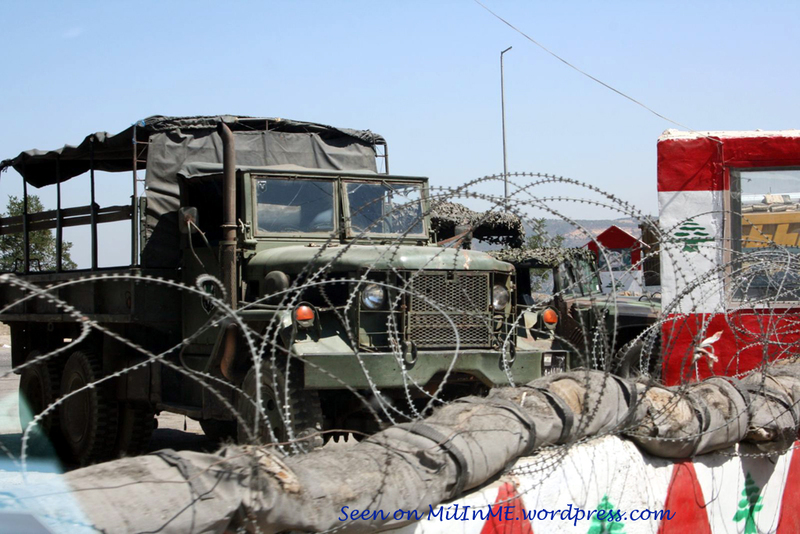 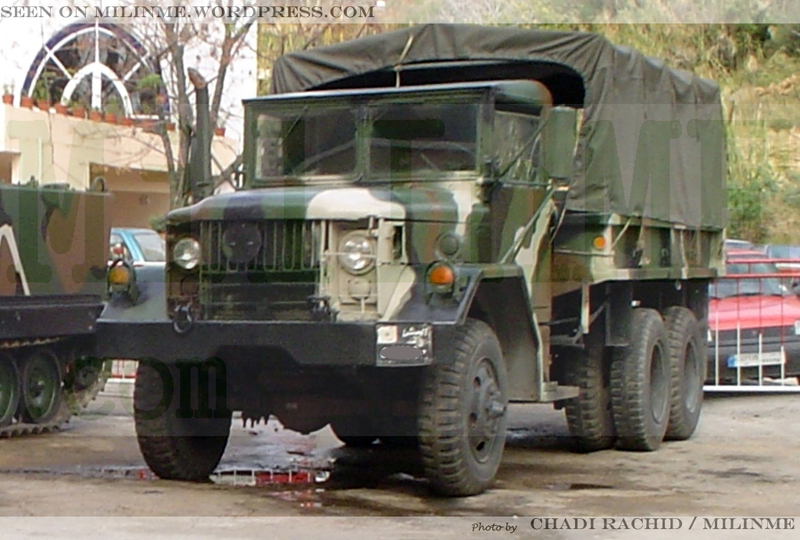 A Lebanese Army M35 truck of the Republican Guard. 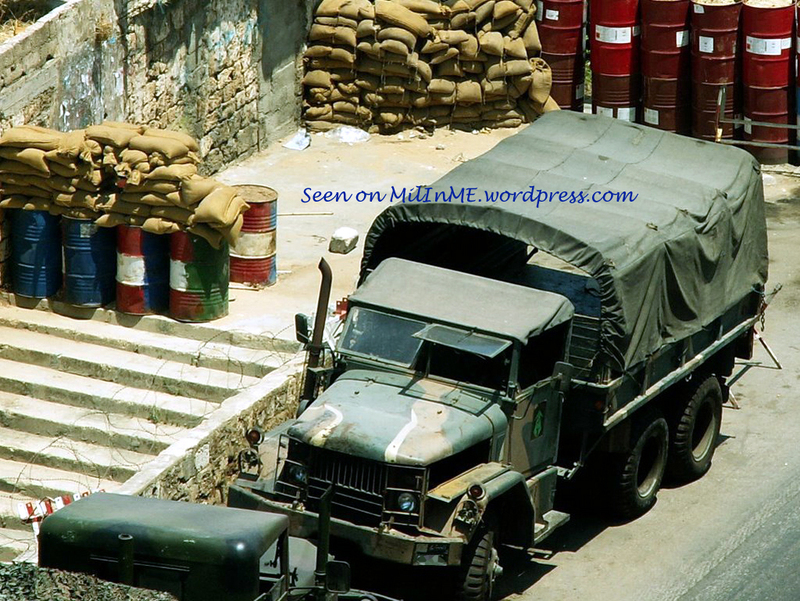 A Lebanese Army M49A2 fuel truck of the Transport Brigade, north of Beirut, April 2011. 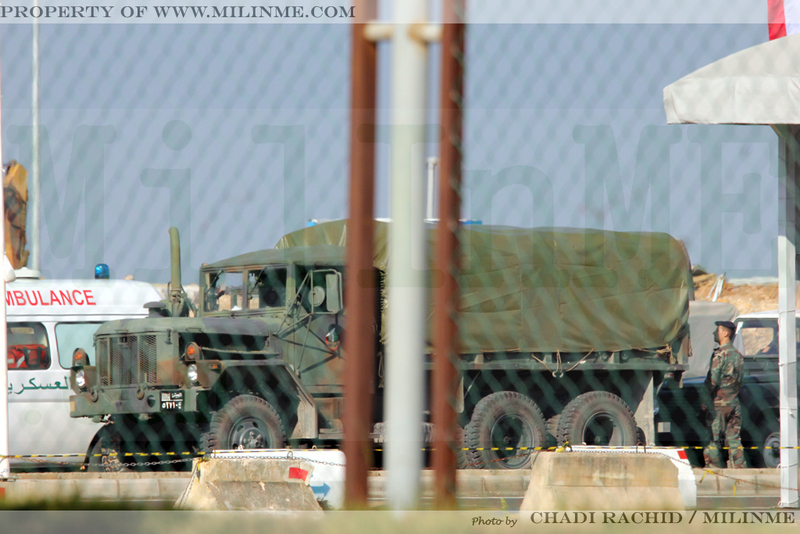 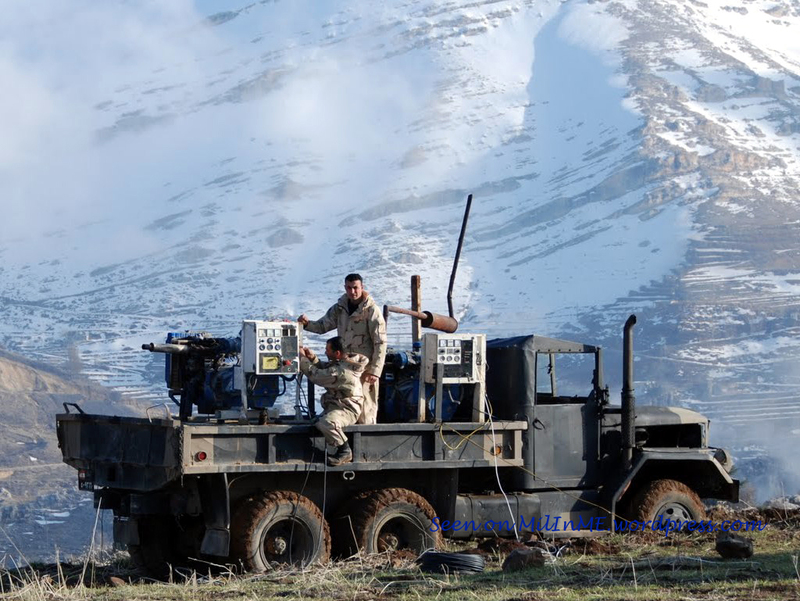 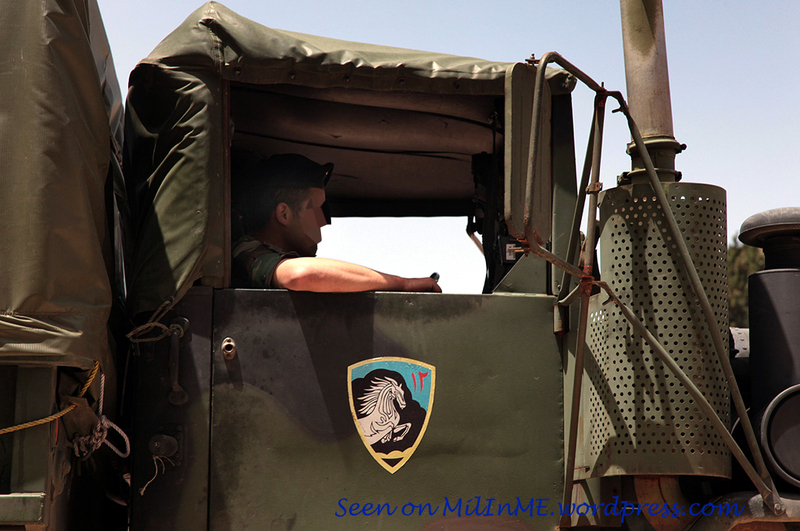 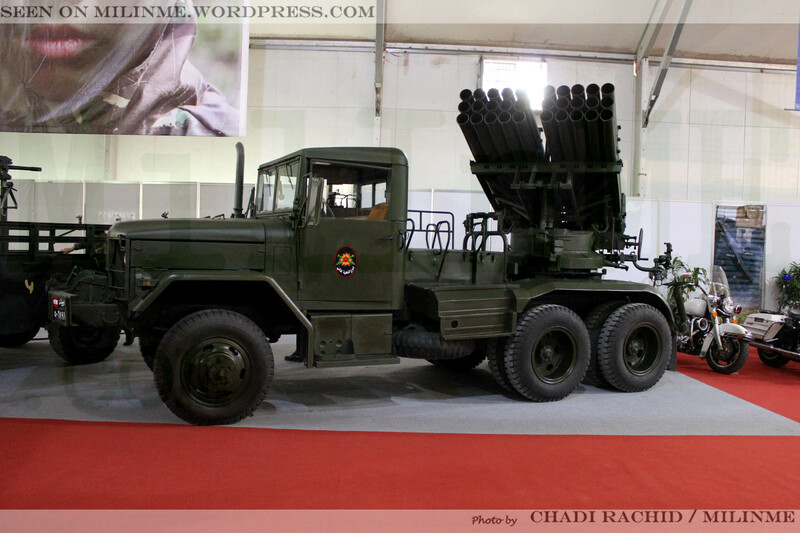 Lebanese Army BM-11 MRL mounted on M35A2 trucks of the 2nd Artillery Regiment. 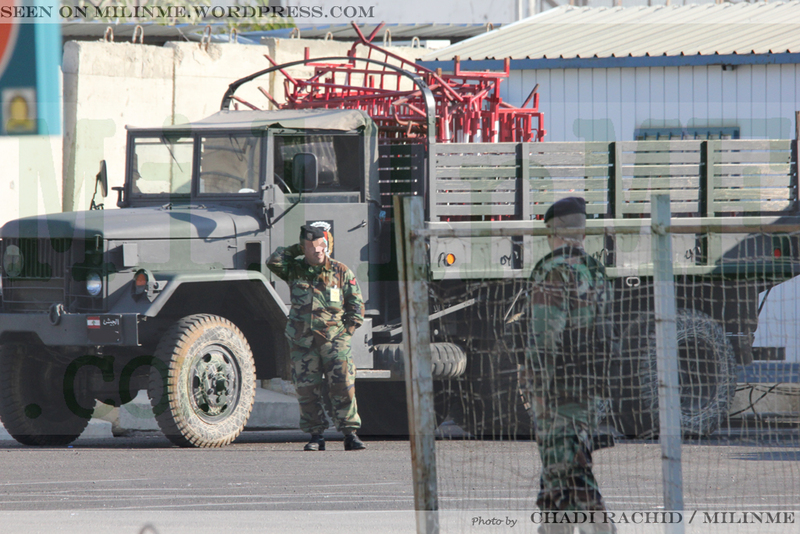 A Lebanese Army M292 Expansible Van Truck of the Maghaweer Regiment. 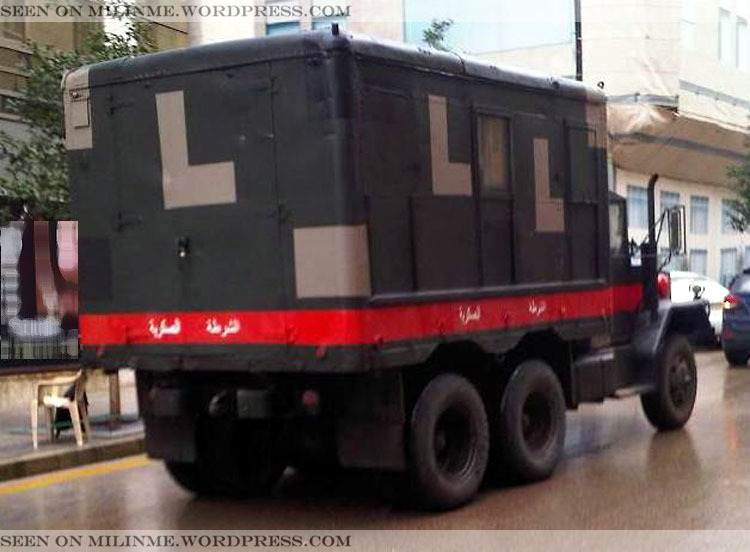 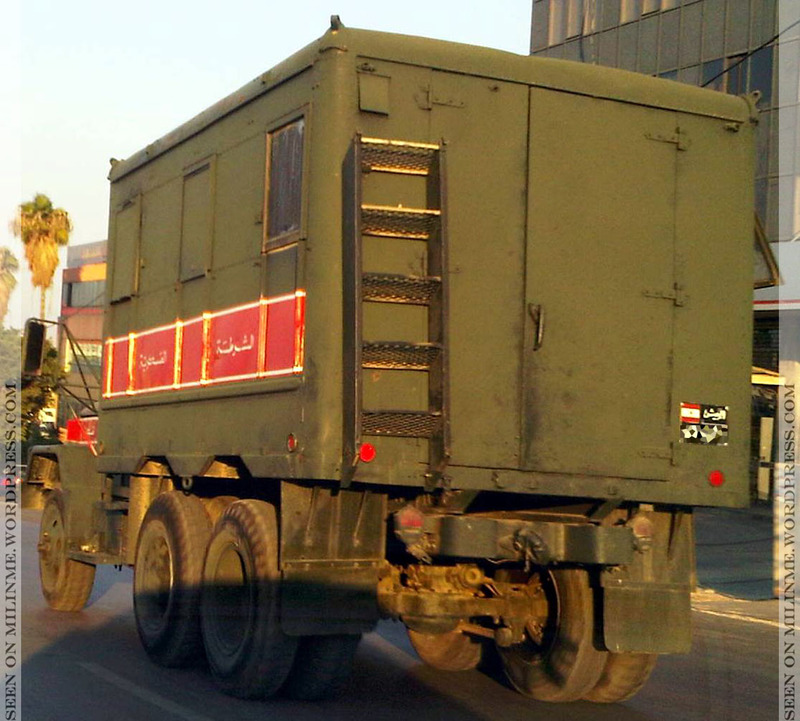 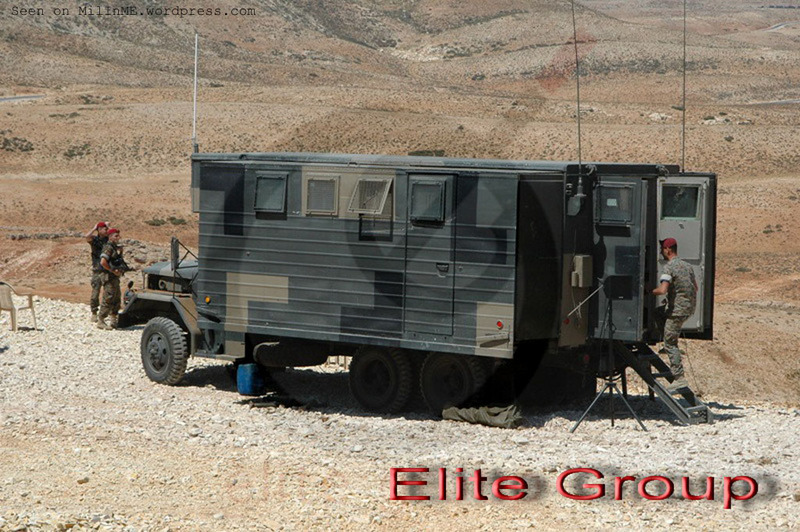 A rear view of the Lebanese Army M292 Expansible Van Truck of the Maghaweer Regiment. 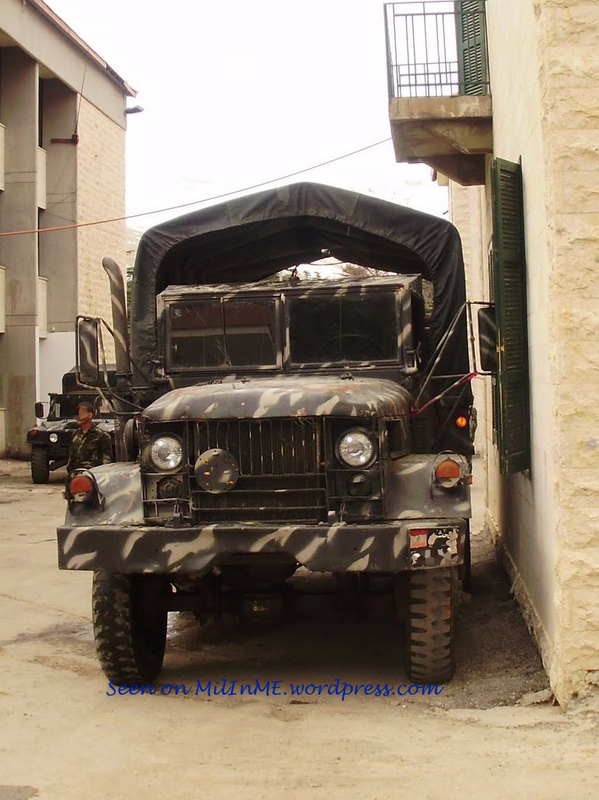 A Lebanese Army M292 Expansible Van Truckof the Maghaweer Regiment. 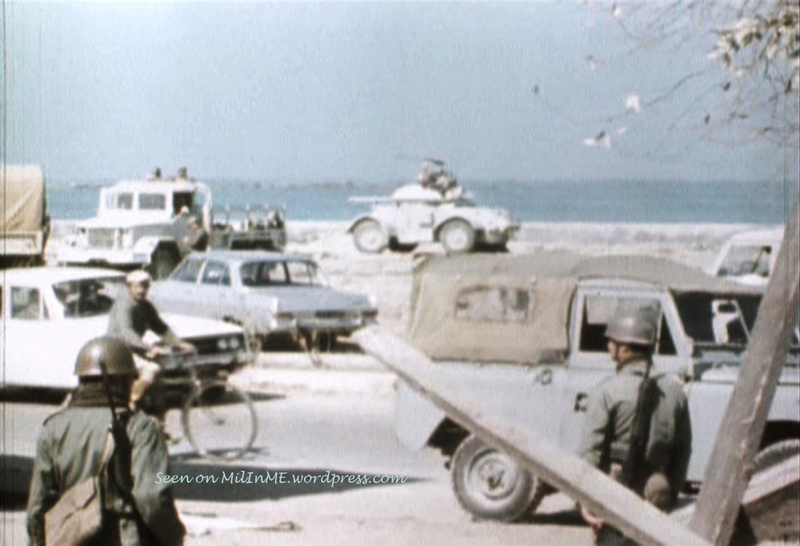 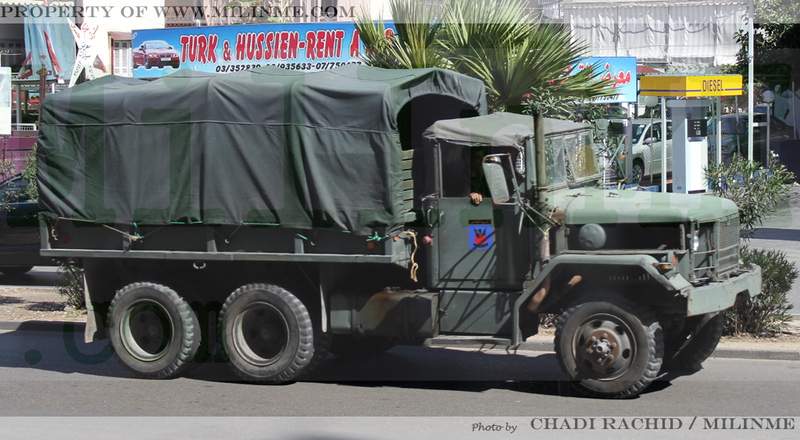 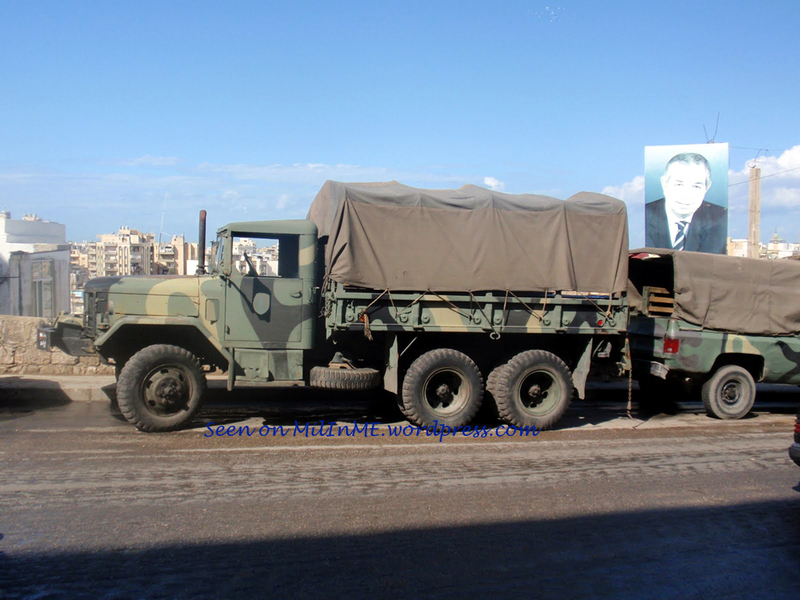 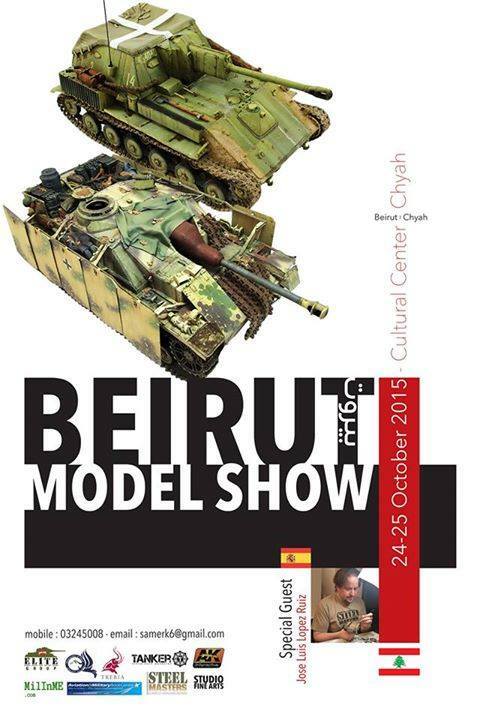 This truck is a veteran vehicle of Nahr El Bared Battle. 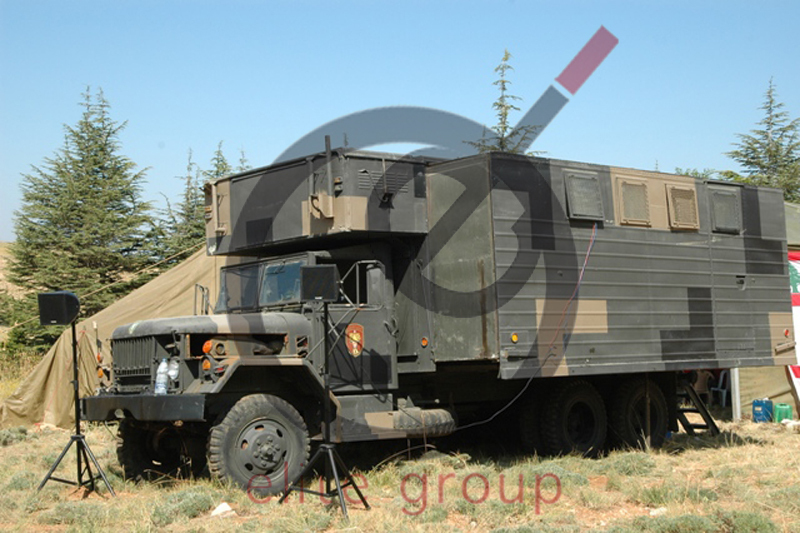 A Lebanese Army M109A1 Shop Van of the Republican Guard. 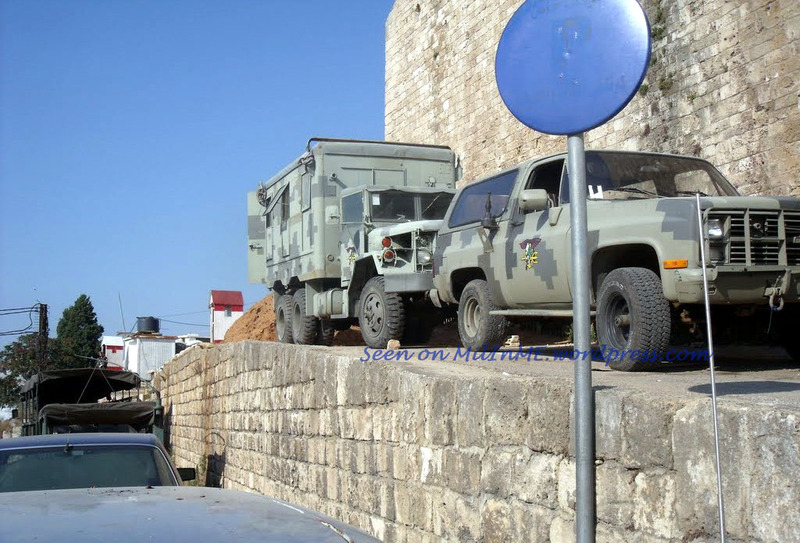 A Lebanese Army M1009 and an M109A1 Shop Van of the Sea Commandos (Maghaweer Al Ba7er) Regiment, St Gilles fortress, Tripoli, June 2011.